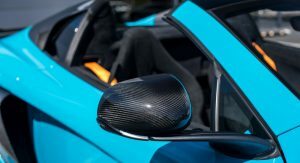 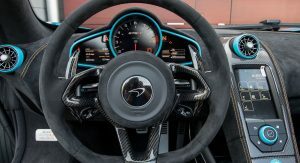 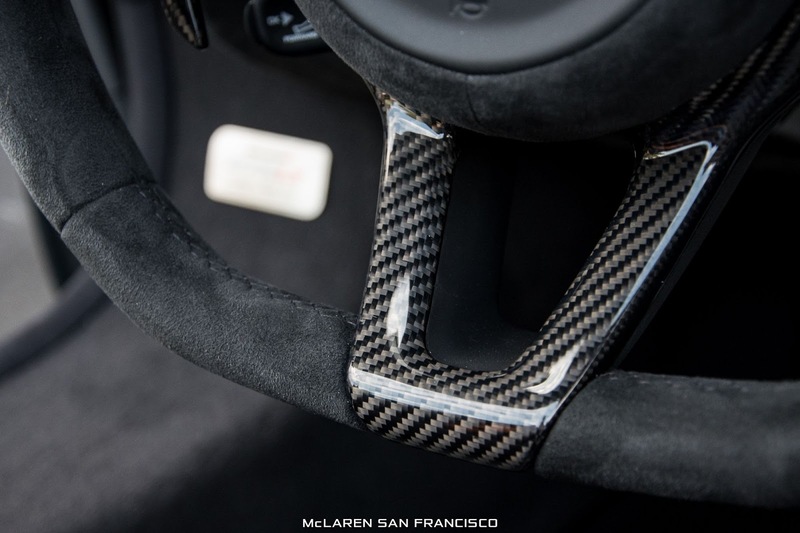 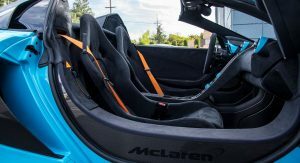 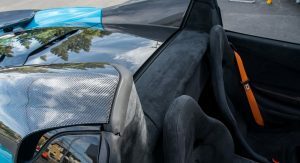 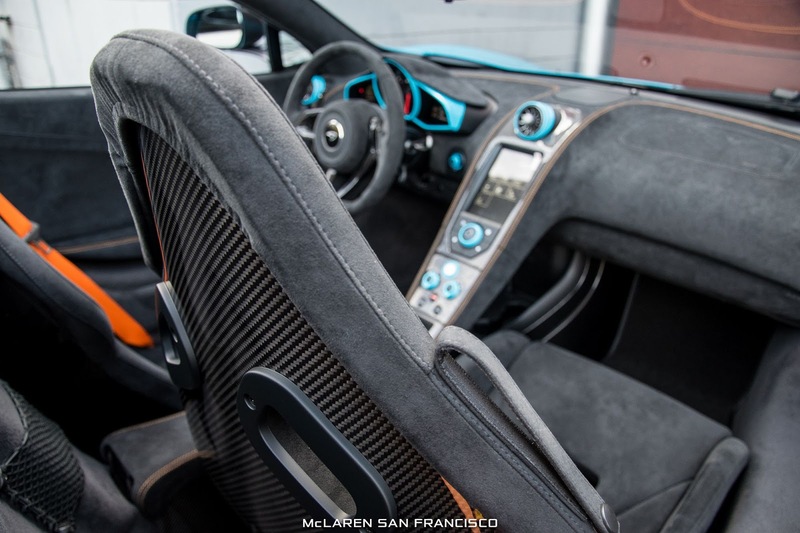 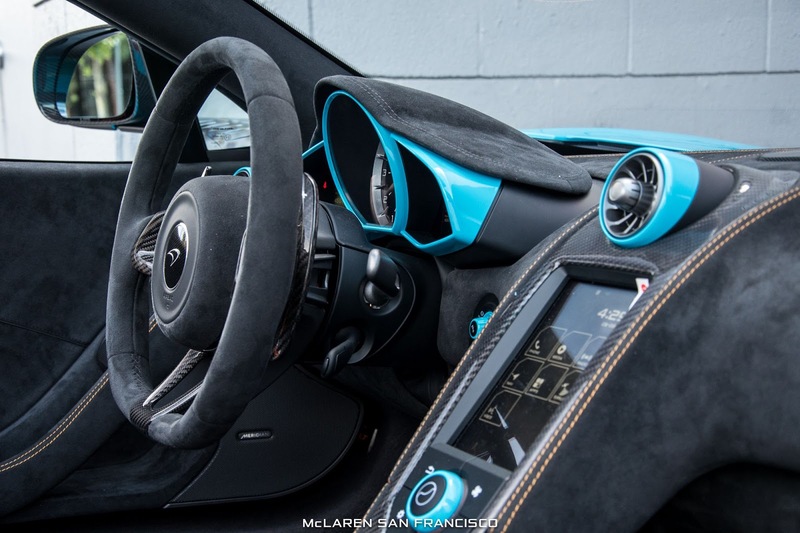 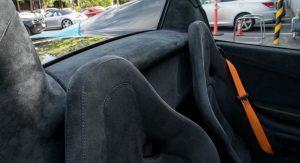 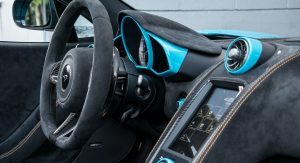 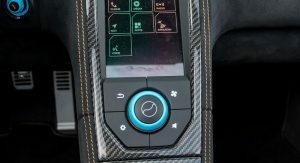 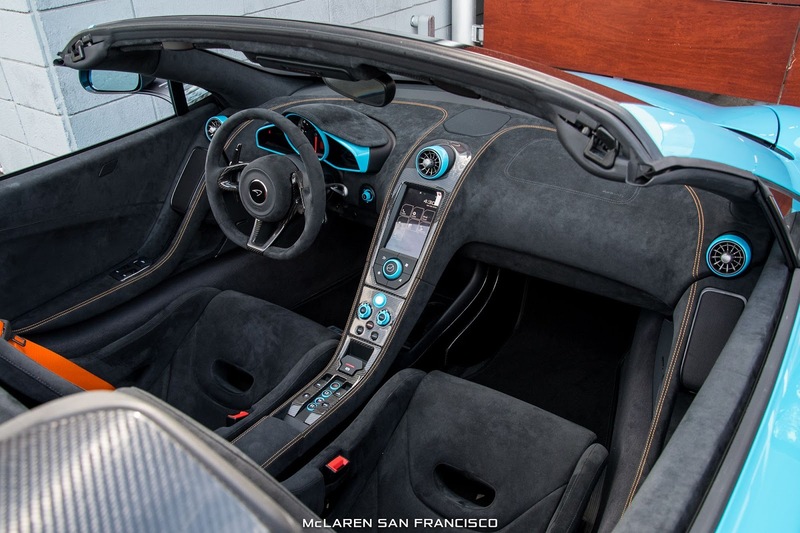 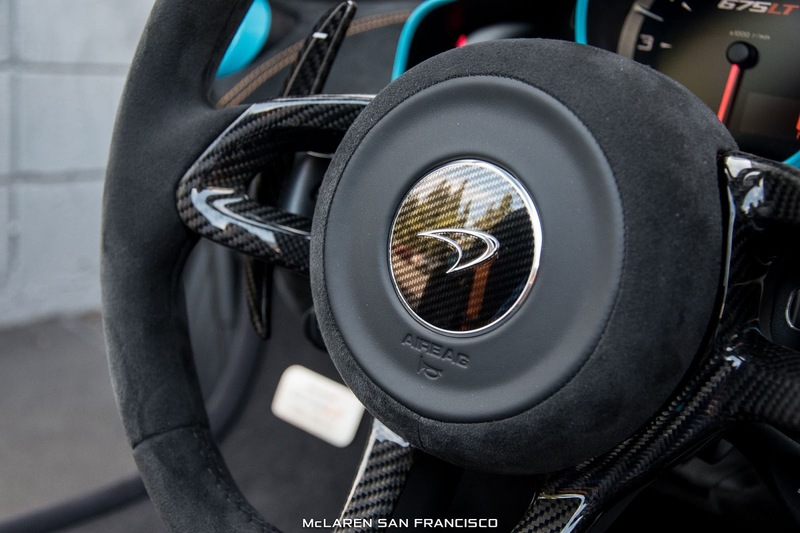 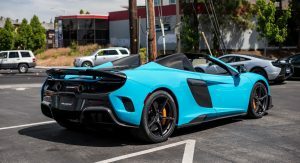 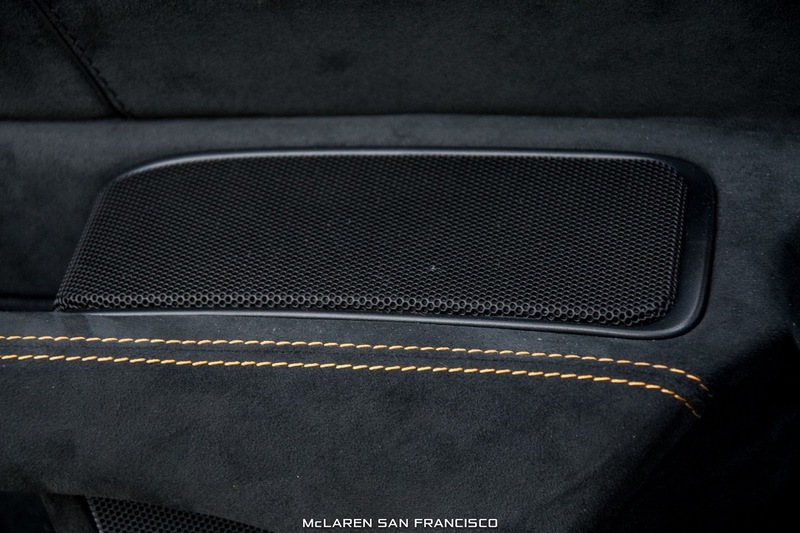 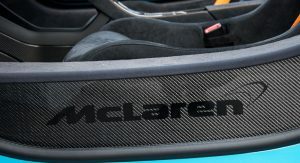 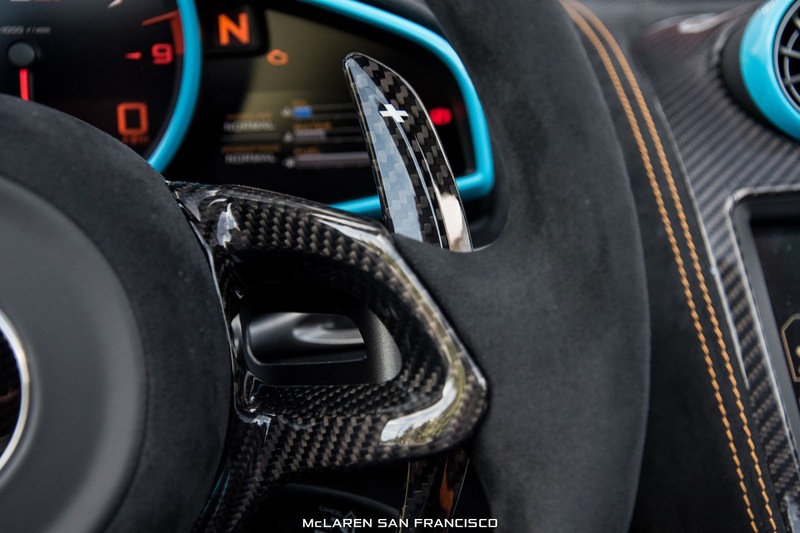 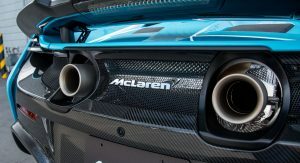 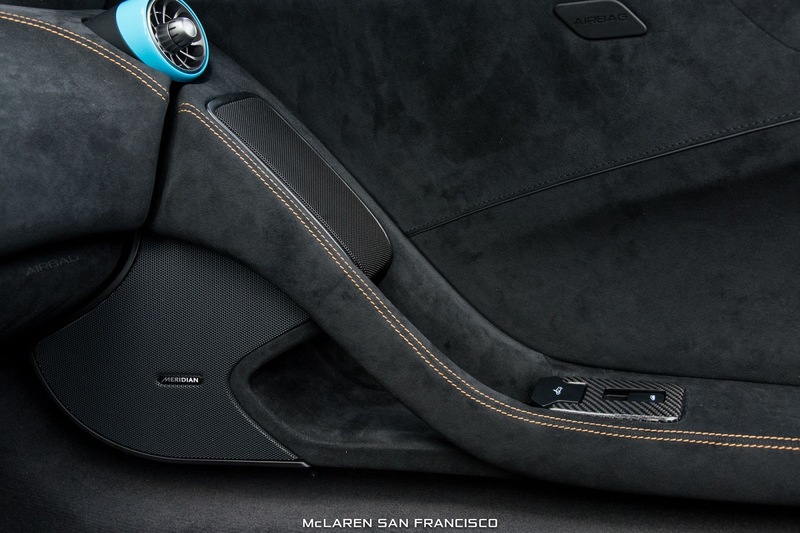 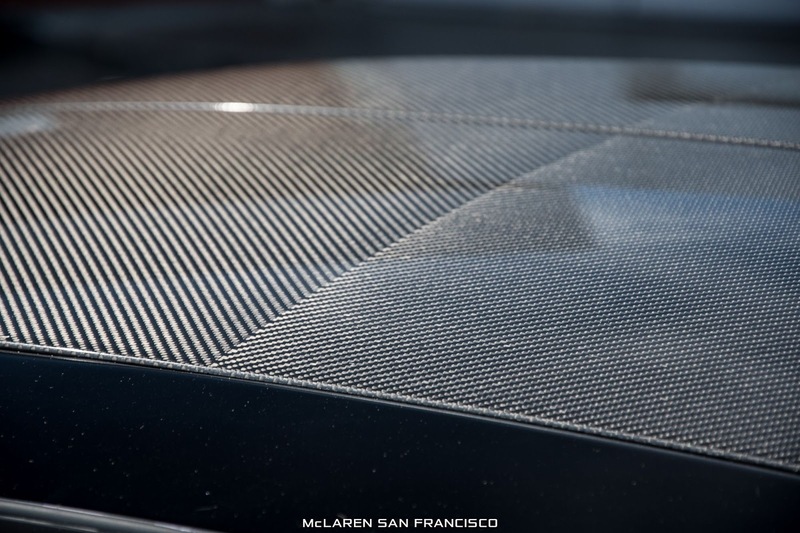 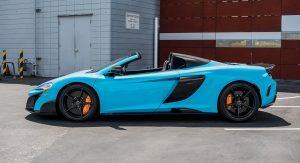 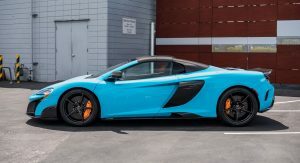 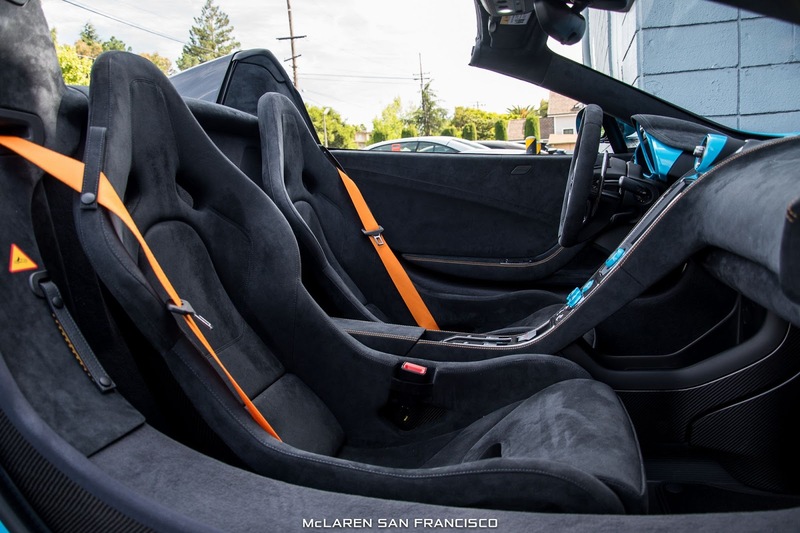 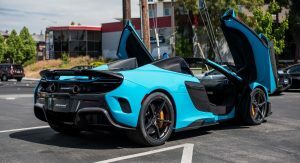 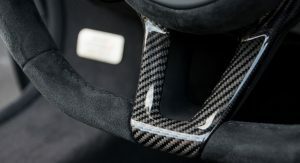 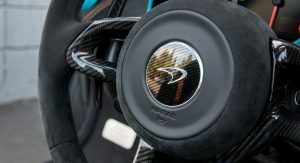 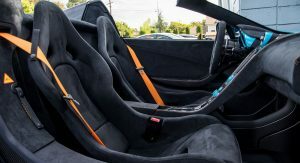 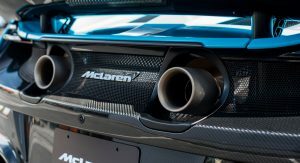 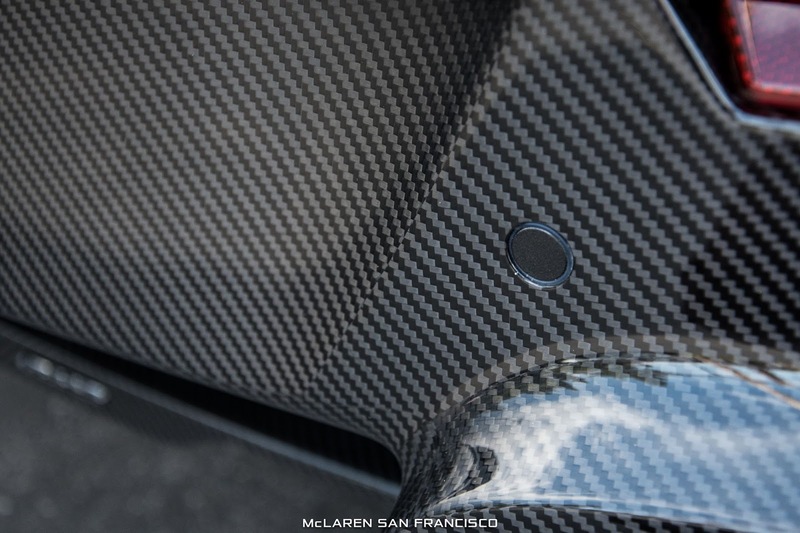 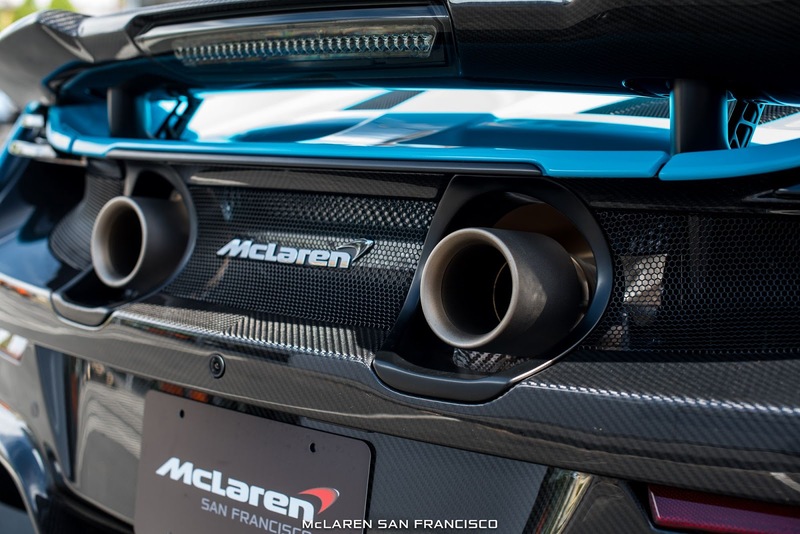 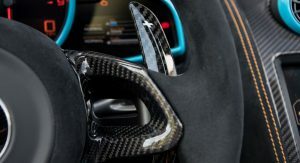 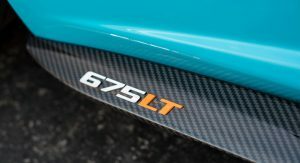 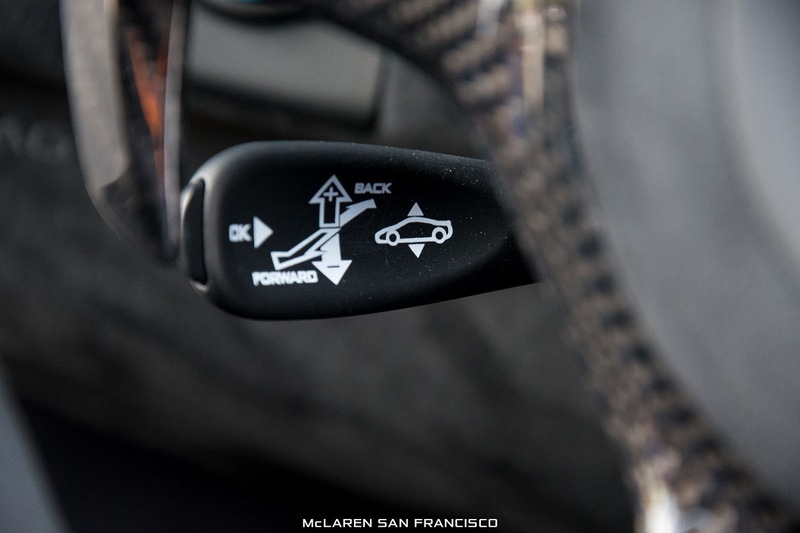 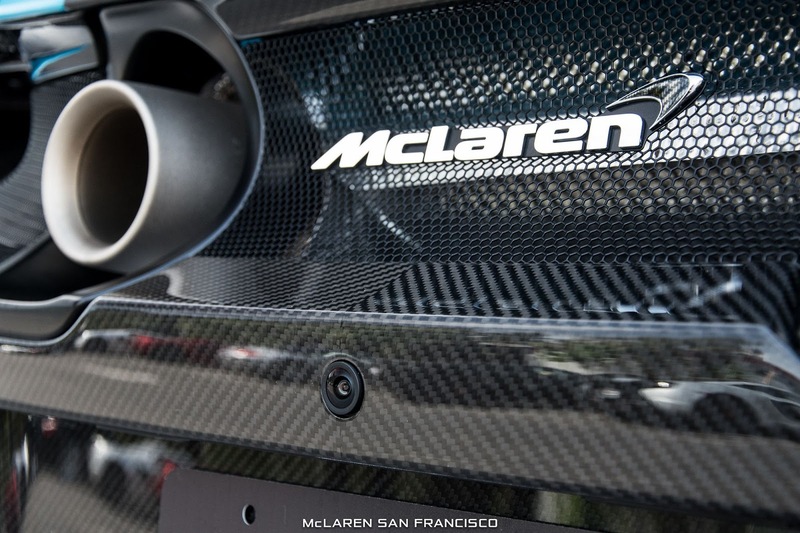 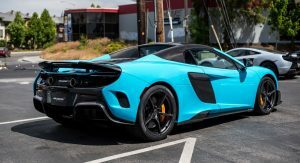 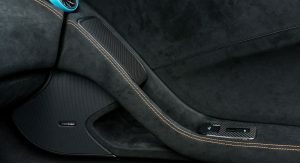 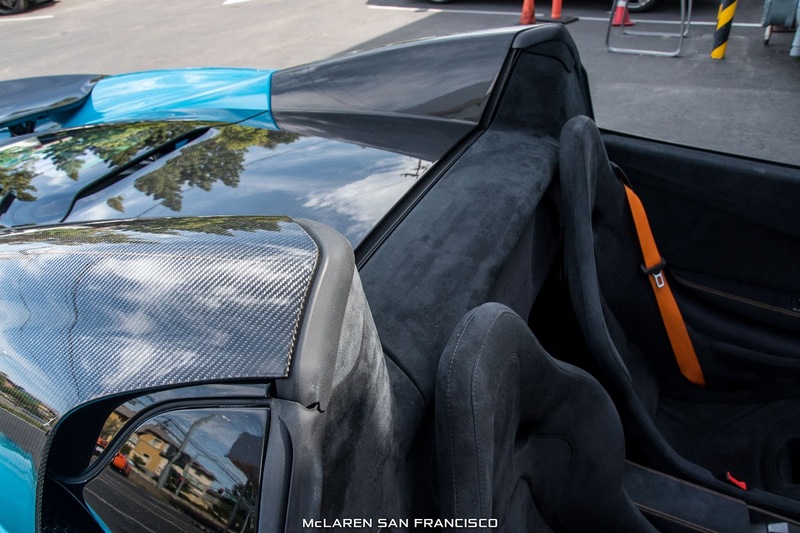 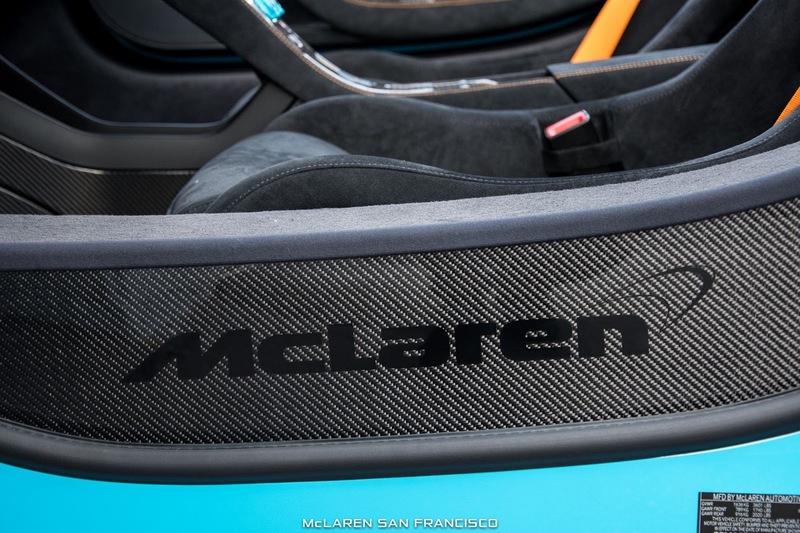 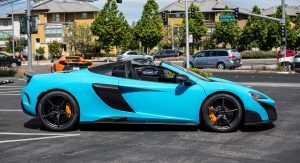 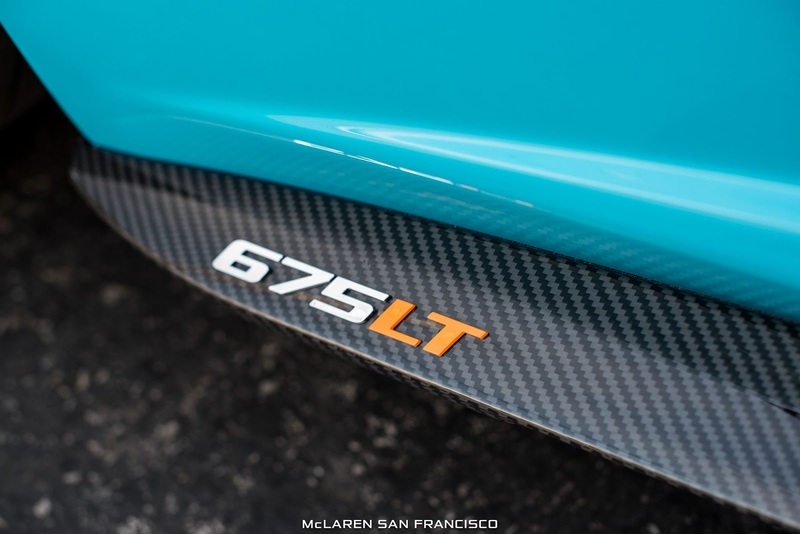 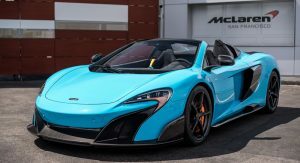 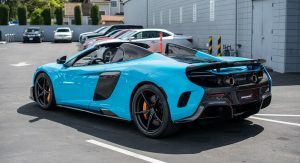 If you have the money, McLaren Special Operations is willing to to personalize the firm’s models to an almost limitless extent and clearly, the following 675LT Spider owner made the most of this when speccing out their car. 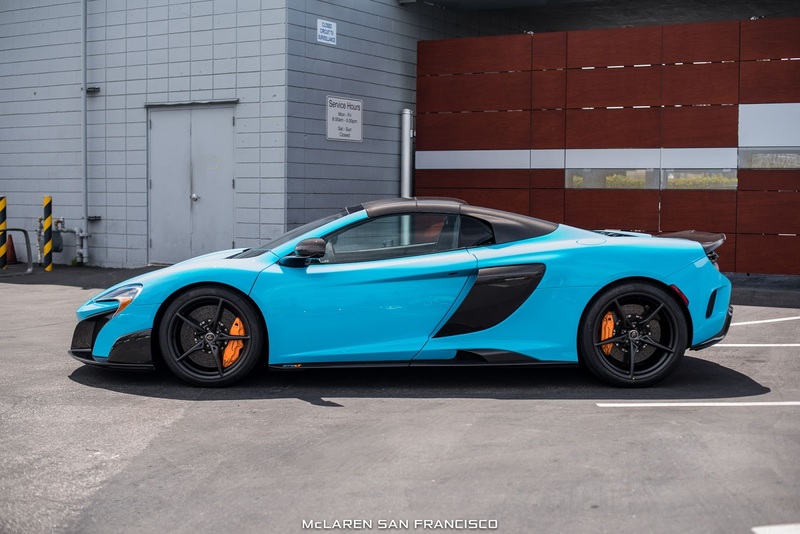 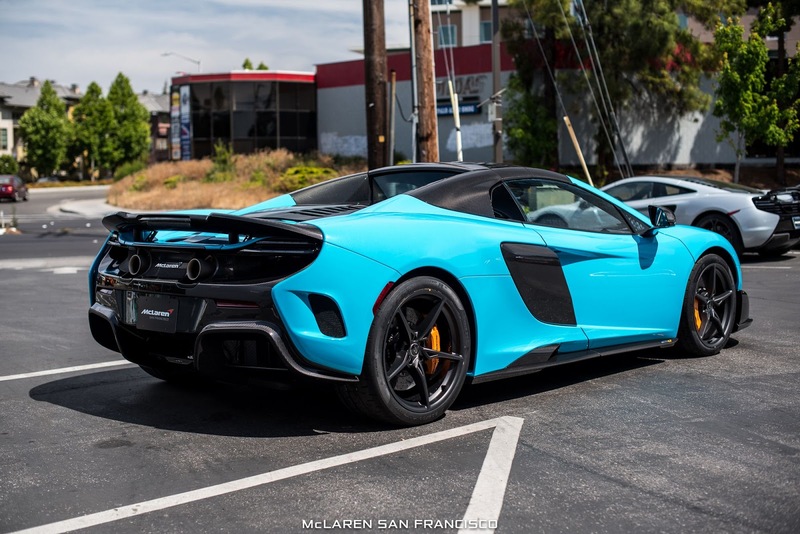 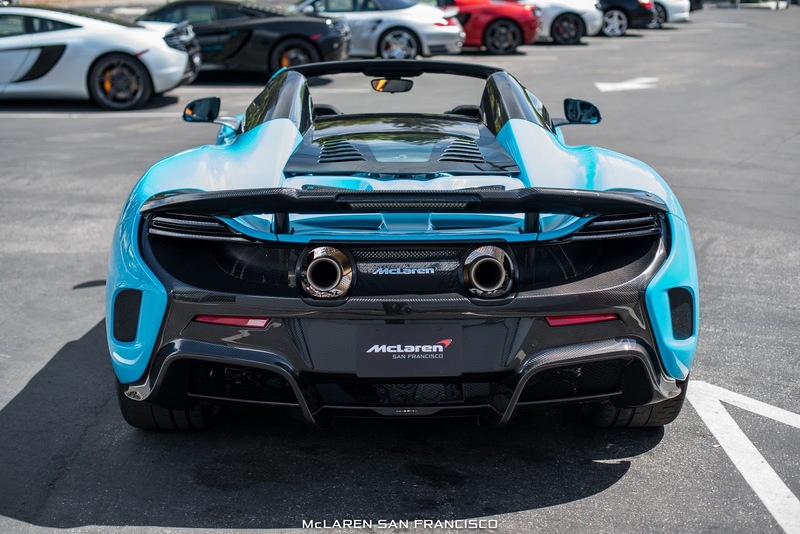 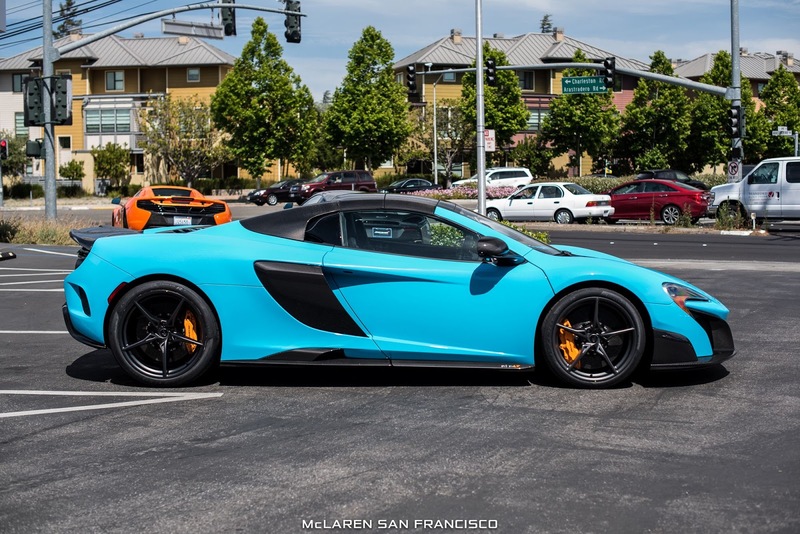 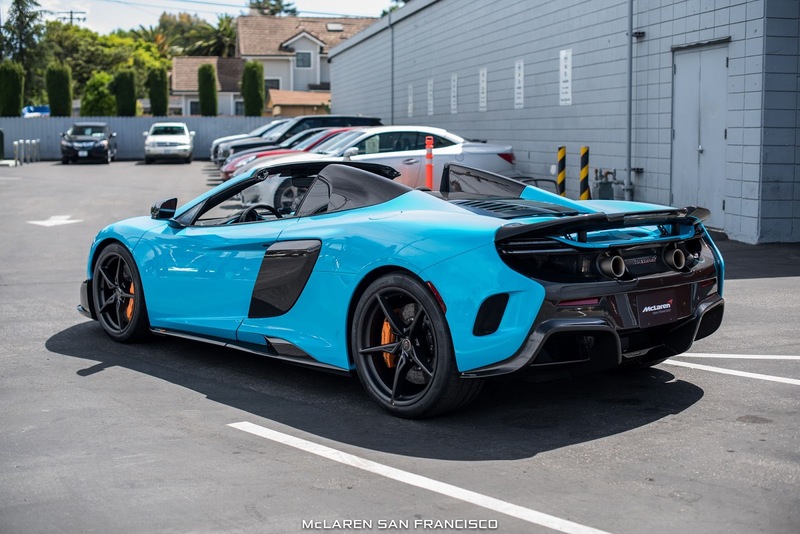 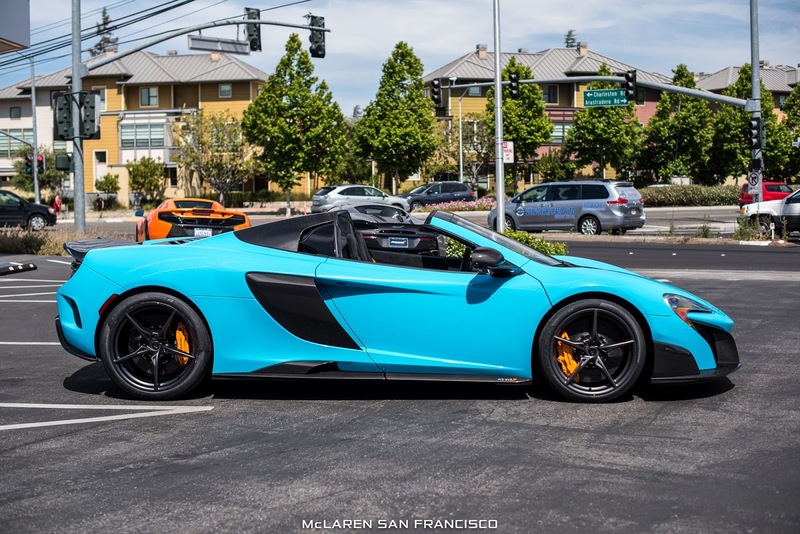 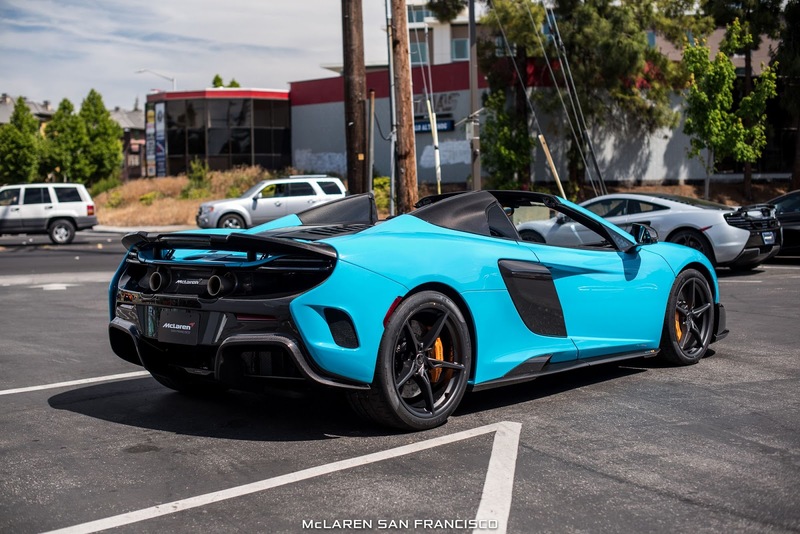 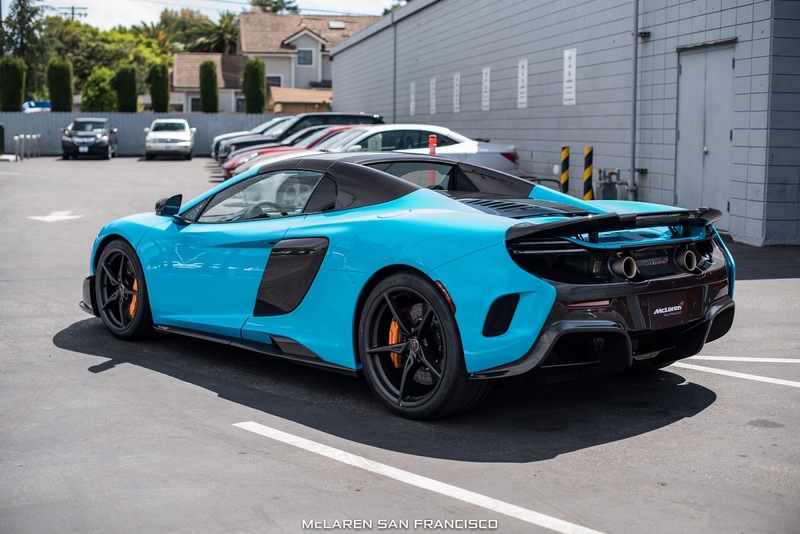 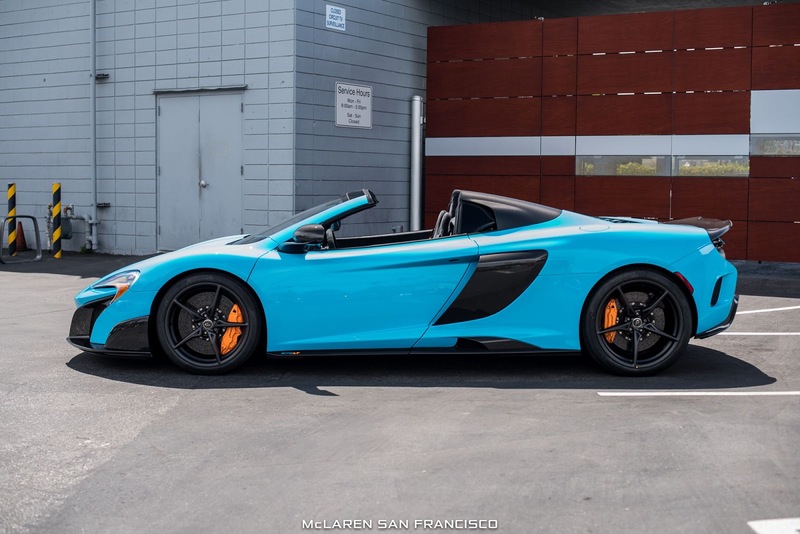 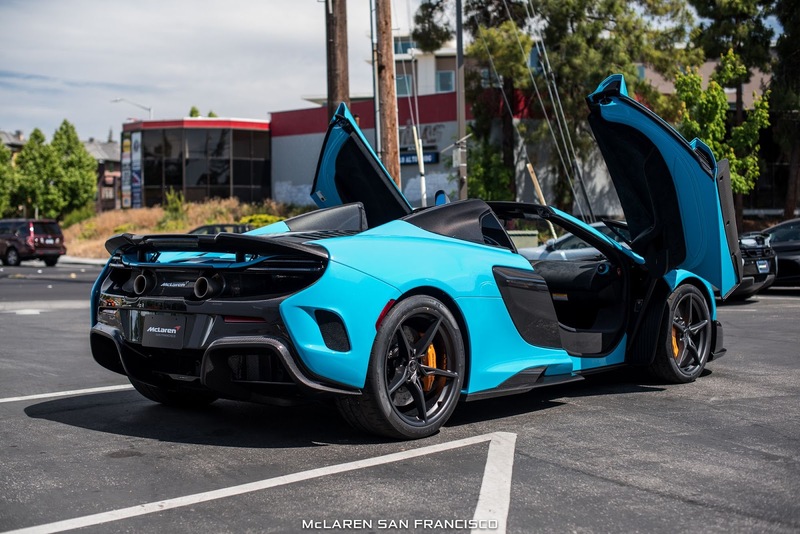 Recently delivered by McLaren San Francisco and displayed throughout Monterey Car Week, this 675LT Spider has been painted in a stunning shade dubbed Fistral Blue. 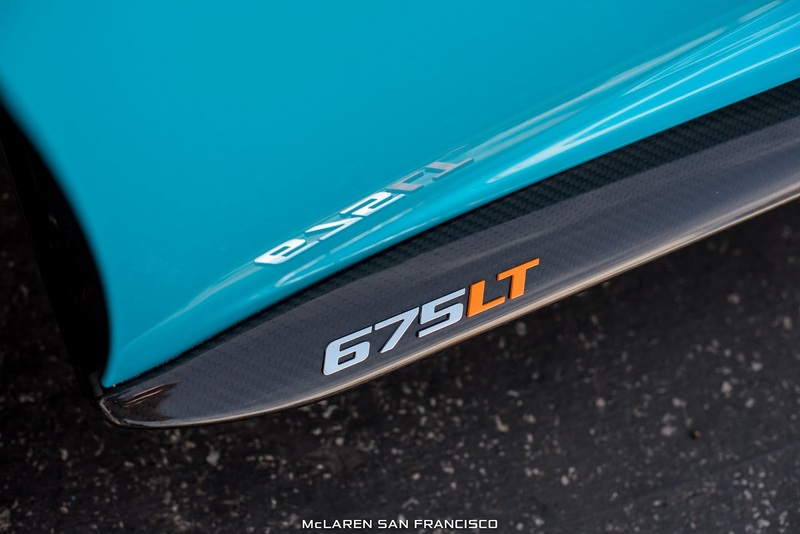 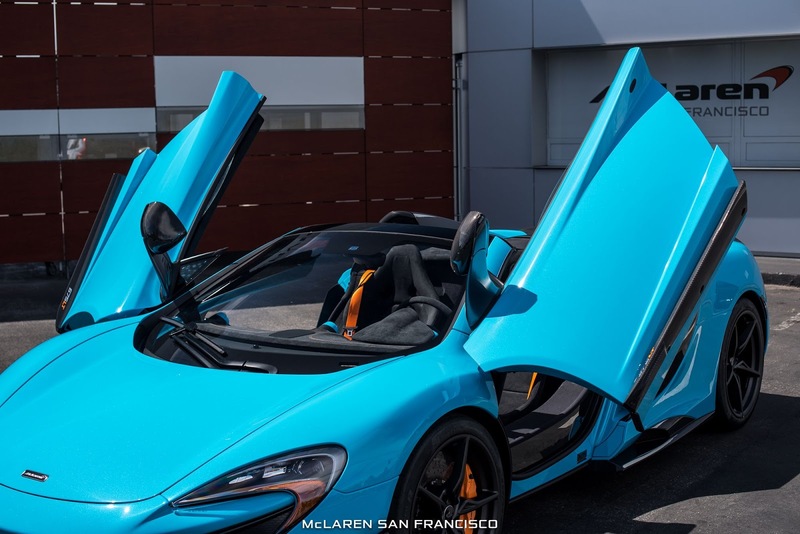 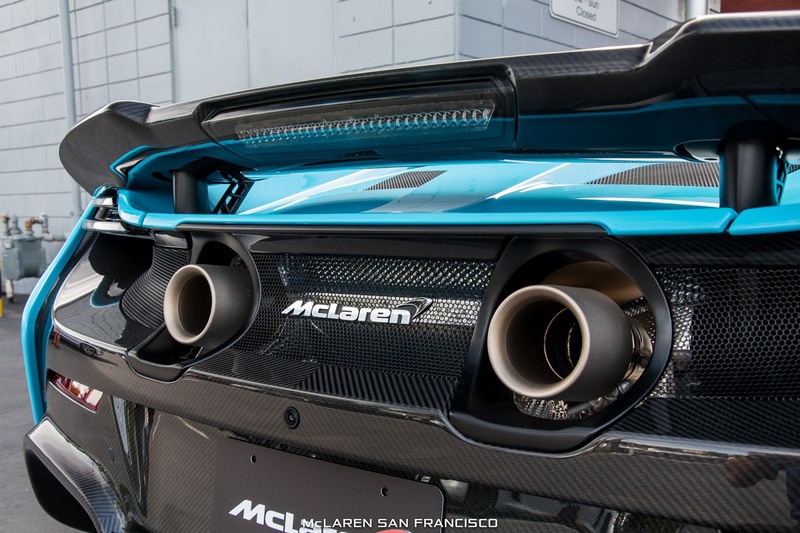 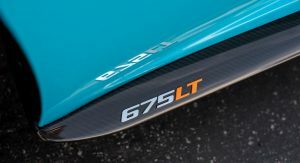 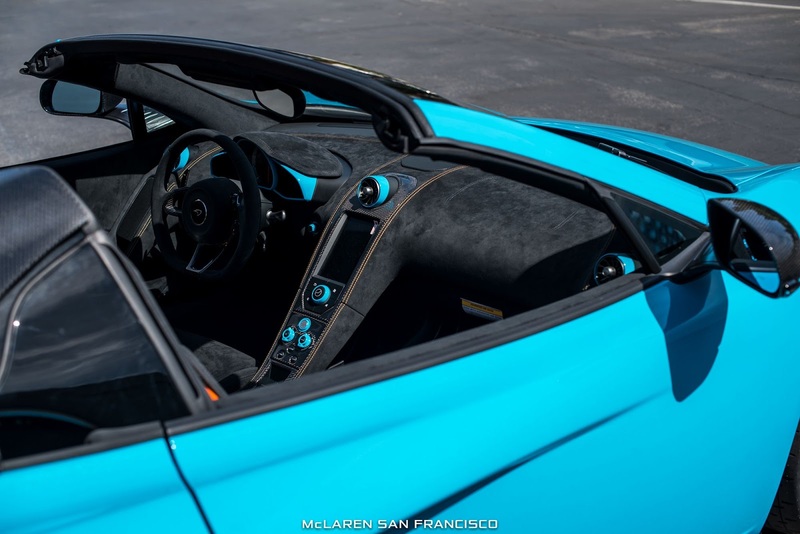 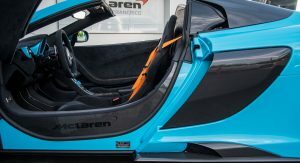 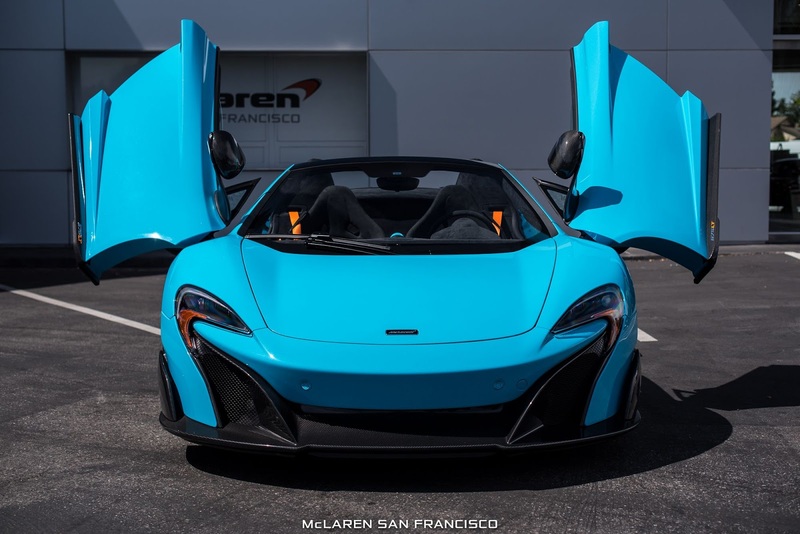 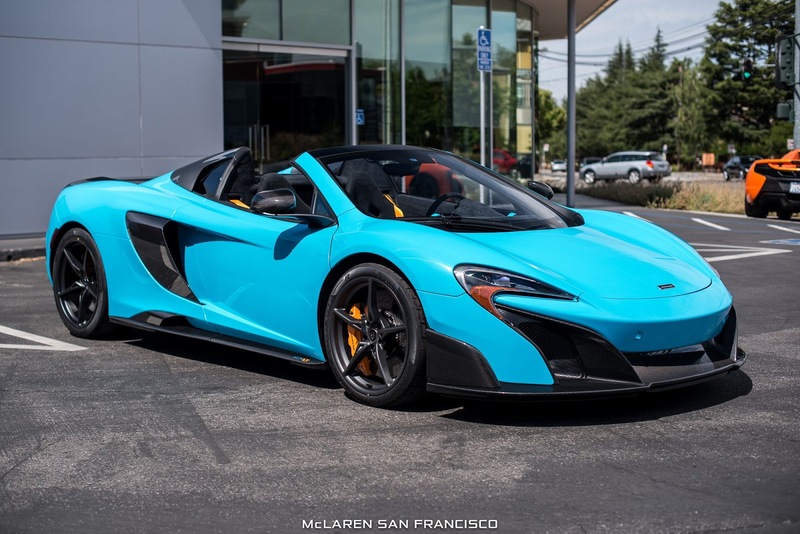 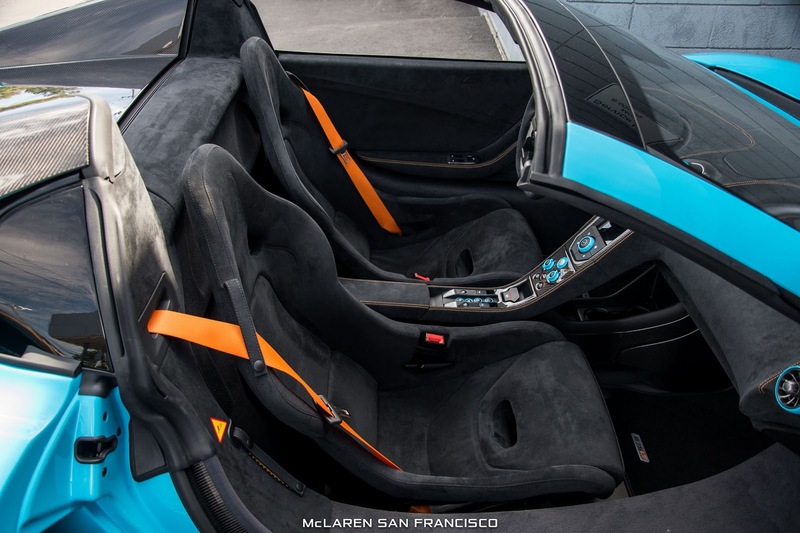 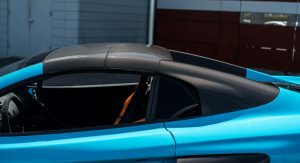 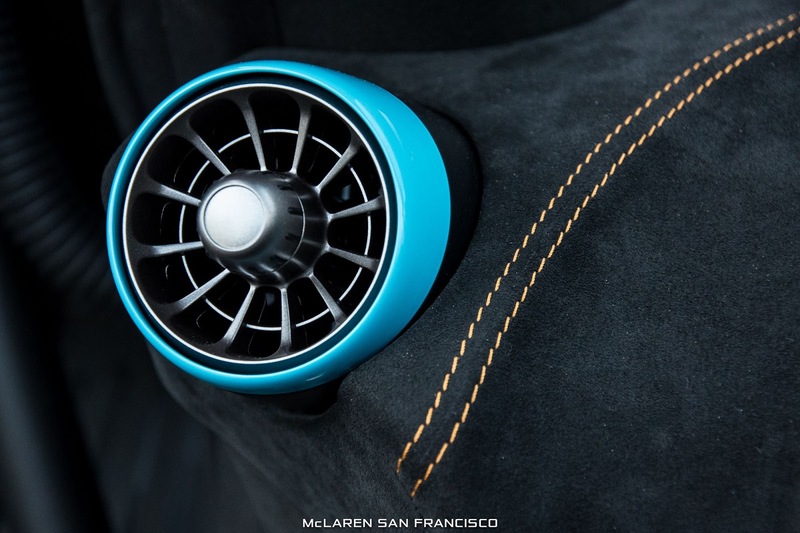 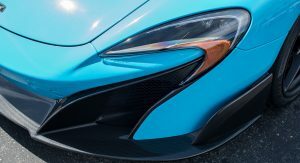 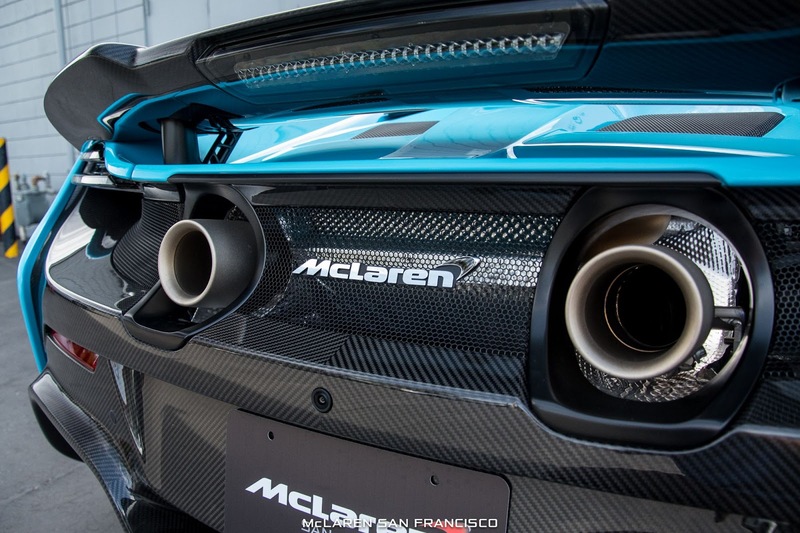 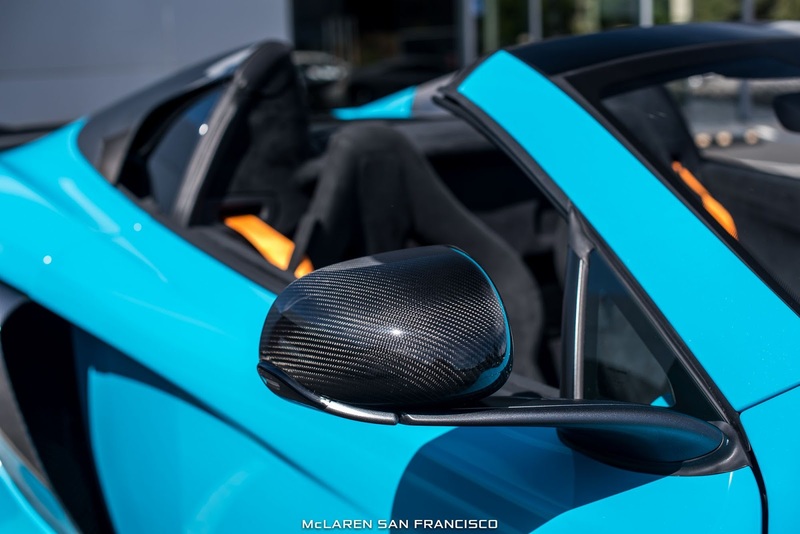 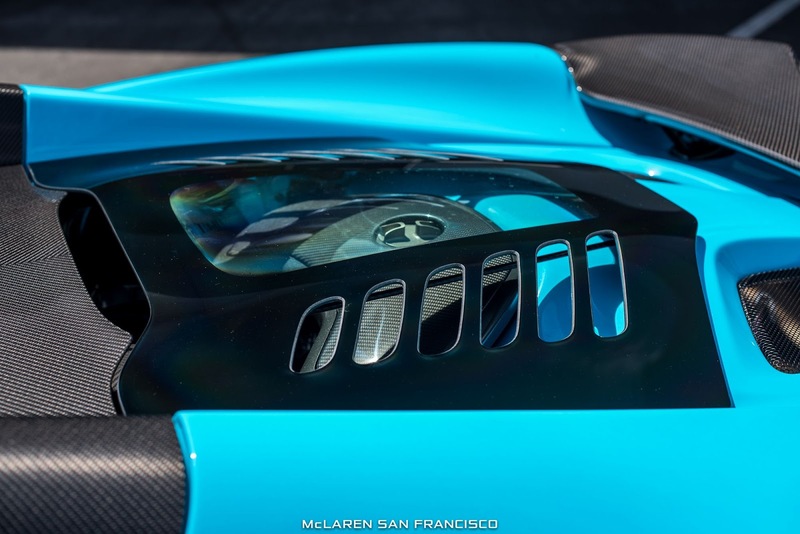 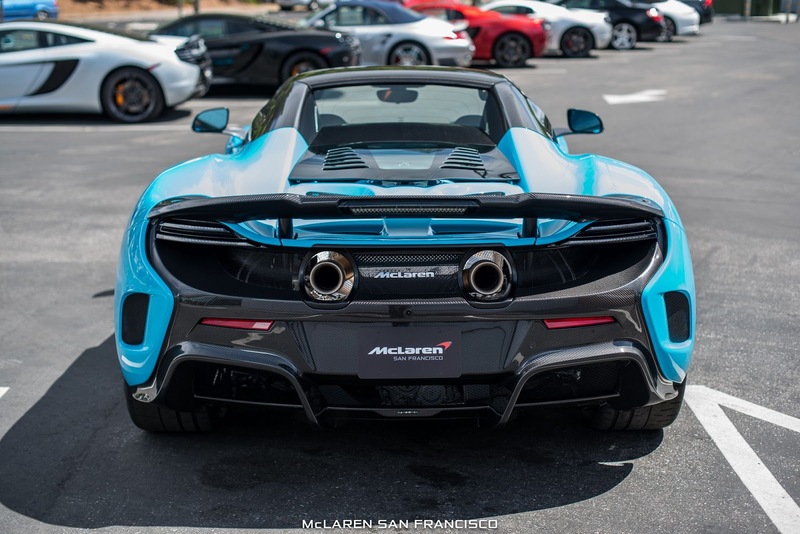 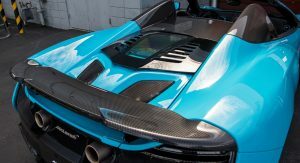 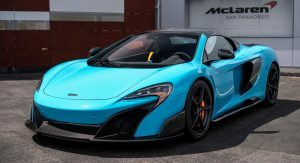 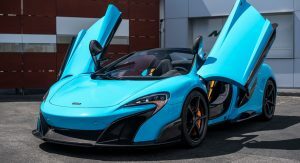 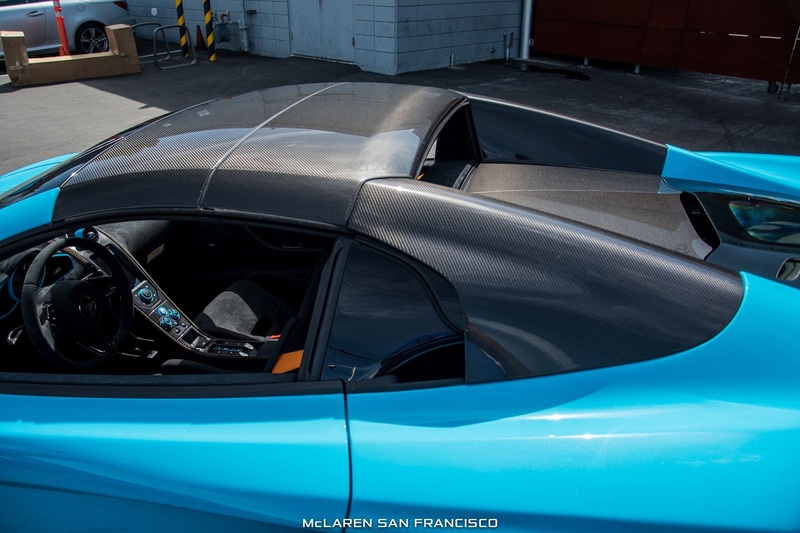 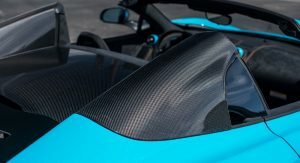 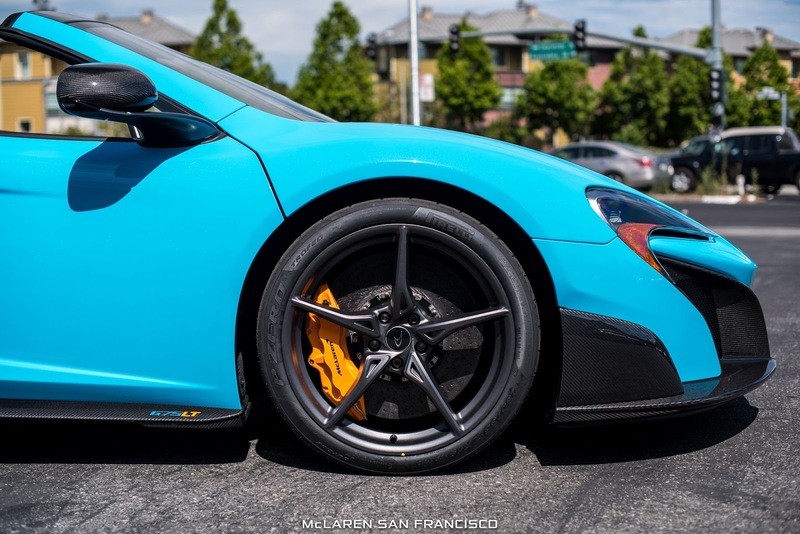 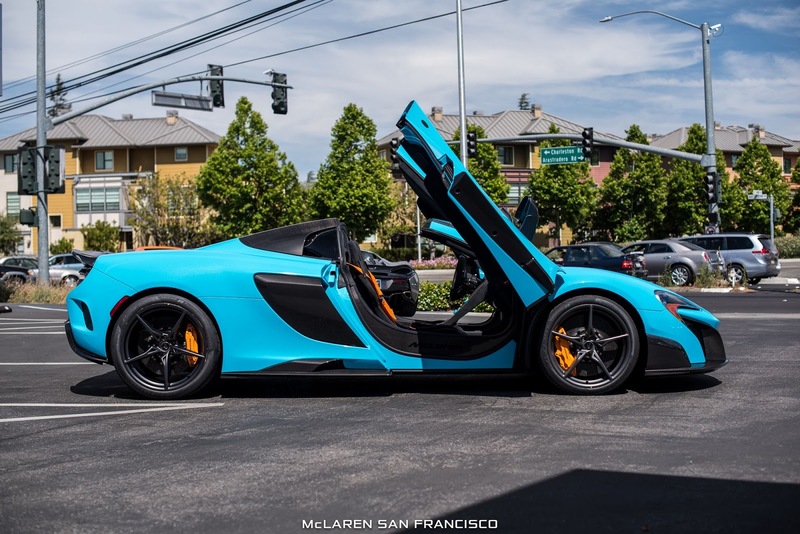 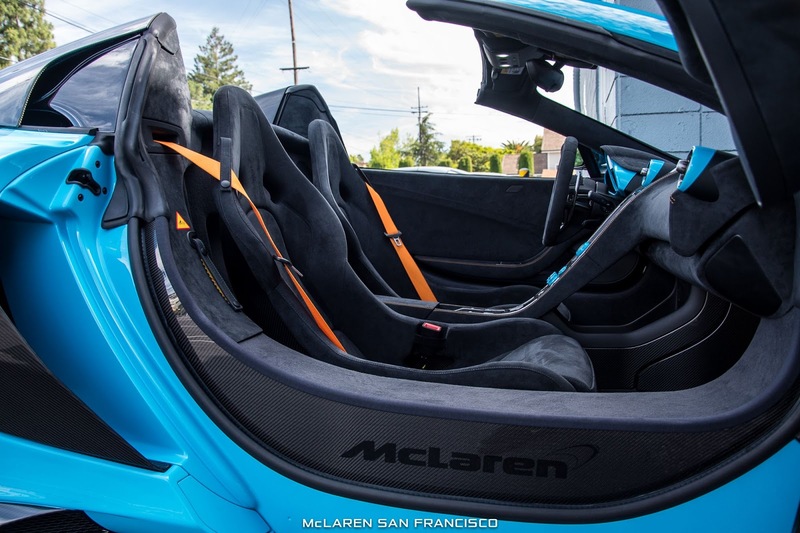 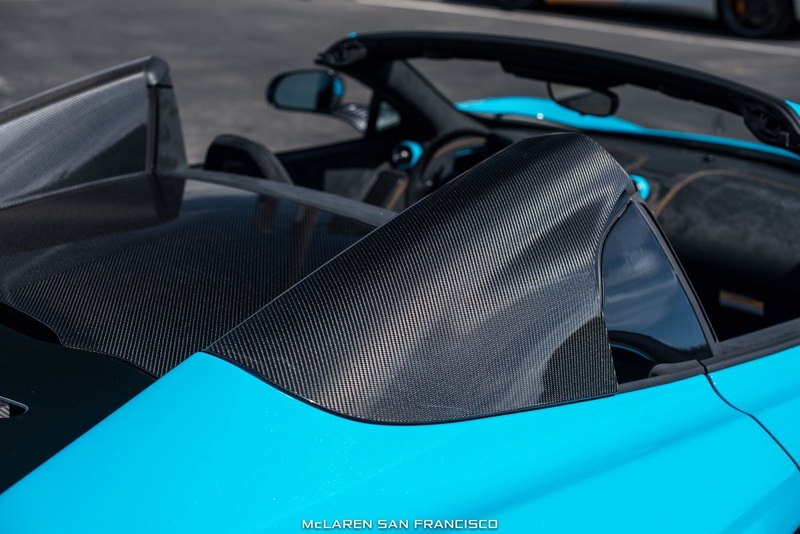 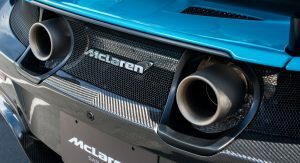 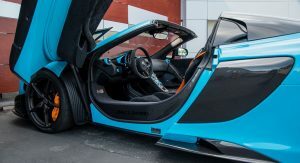 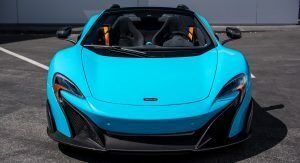 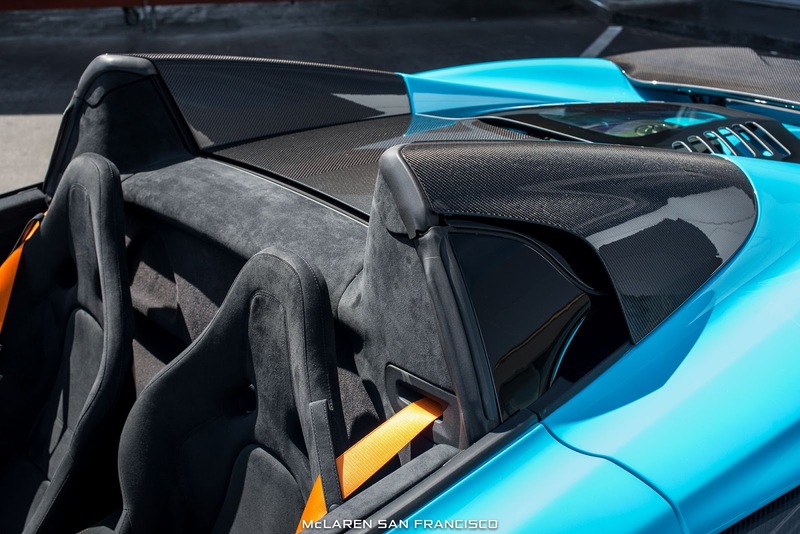 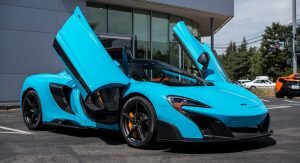 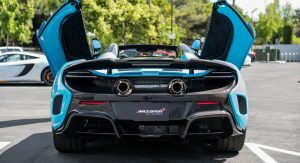 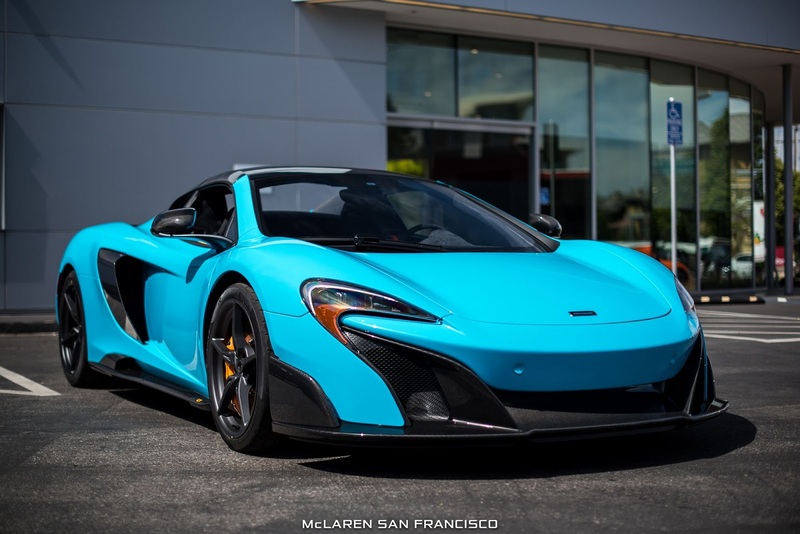 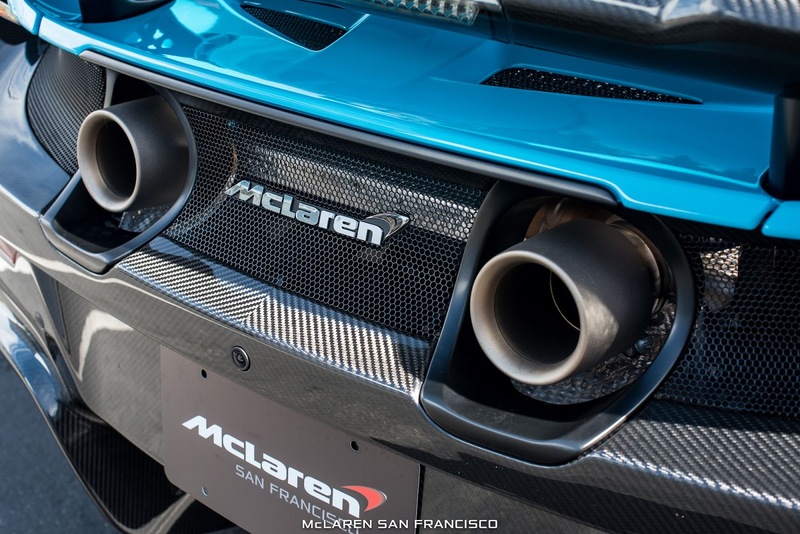 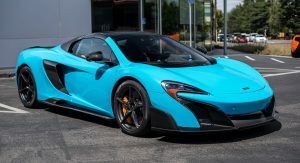 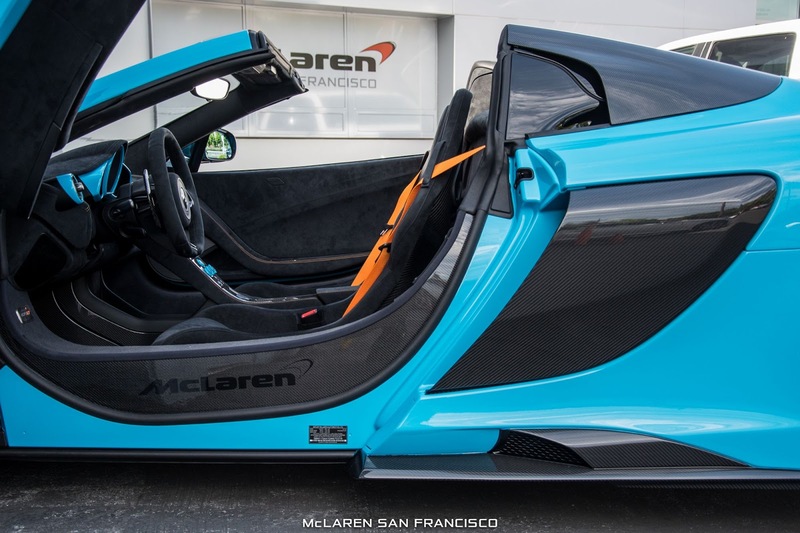 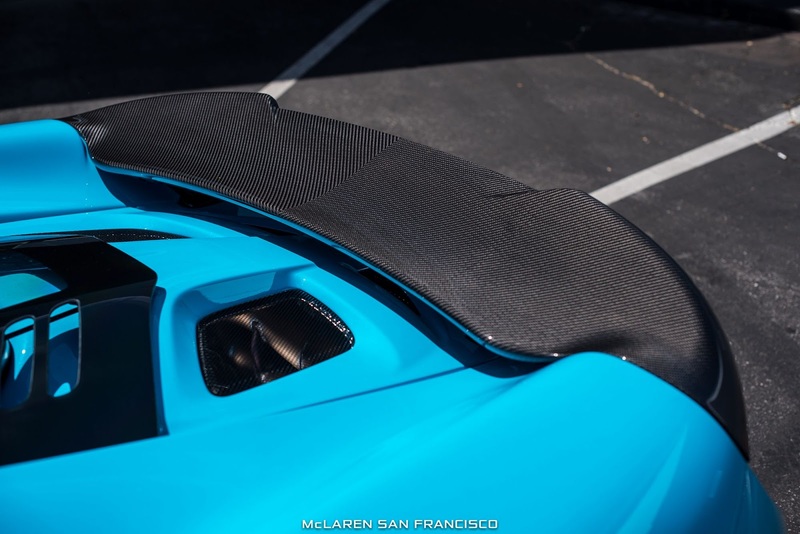 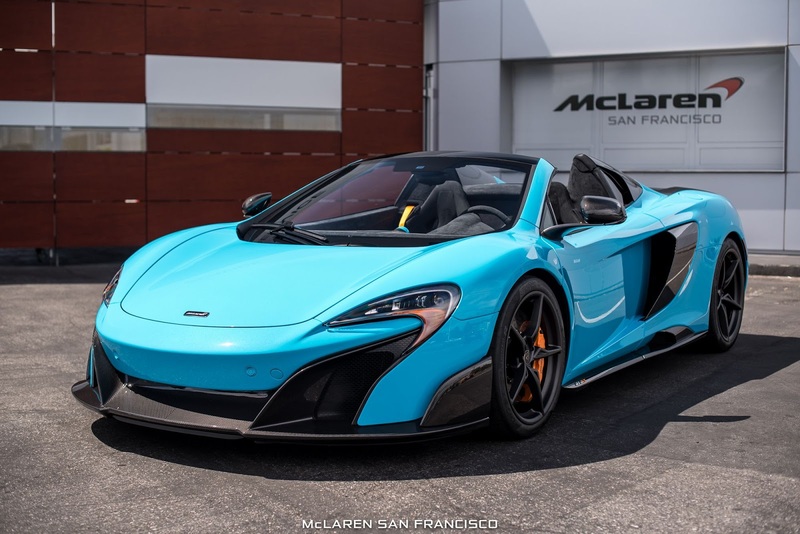 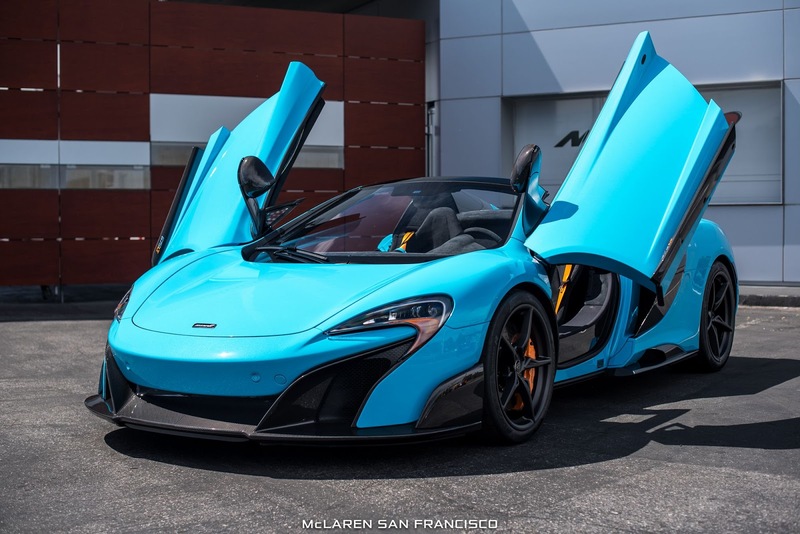 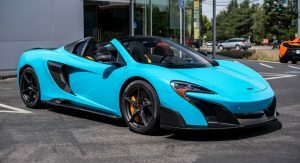 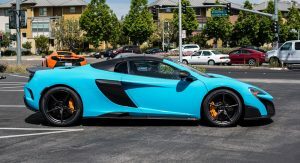 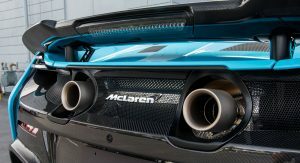 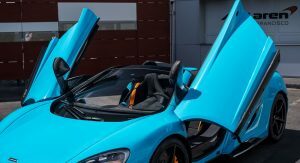 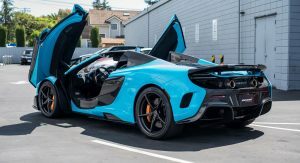 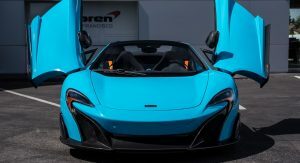 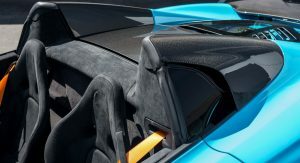 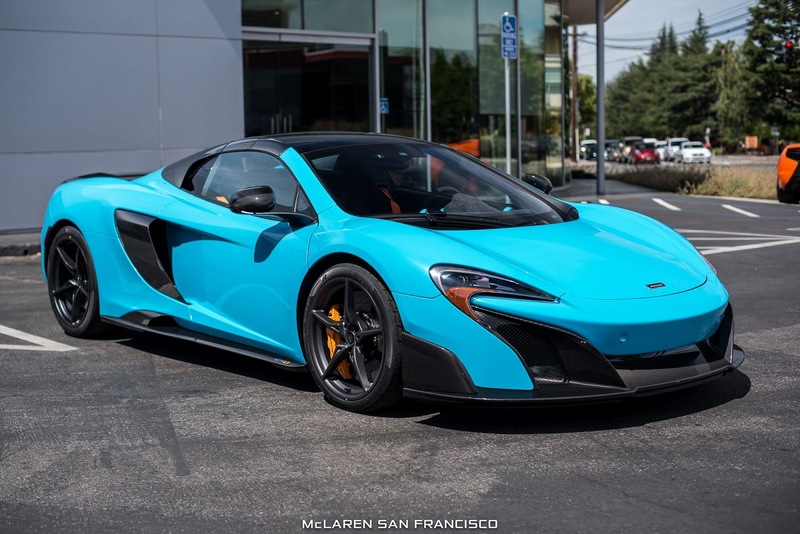 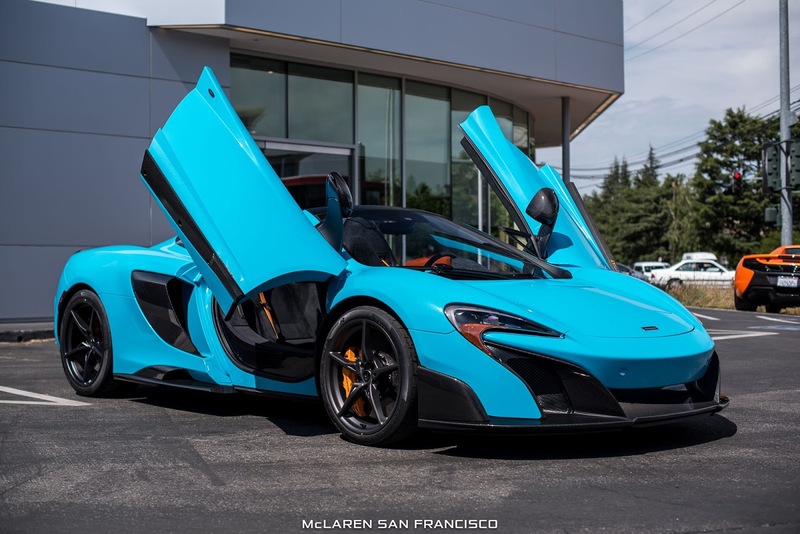 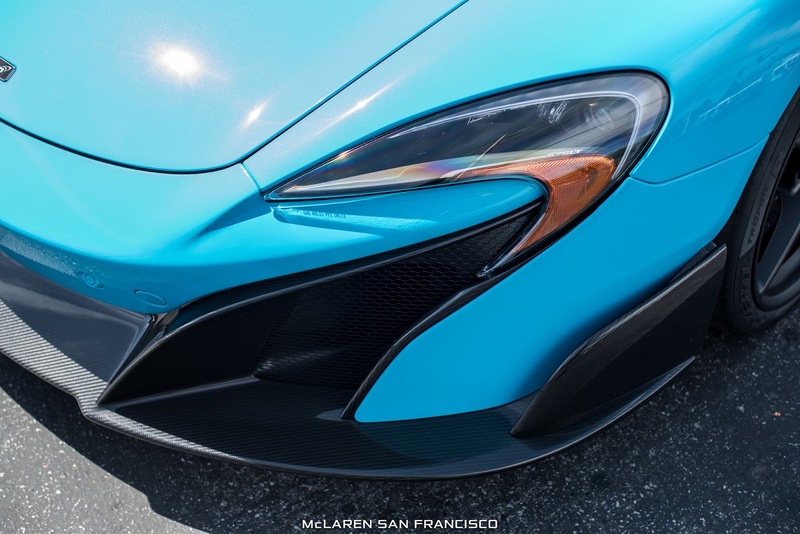 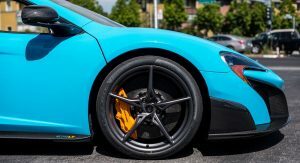 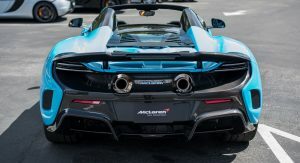 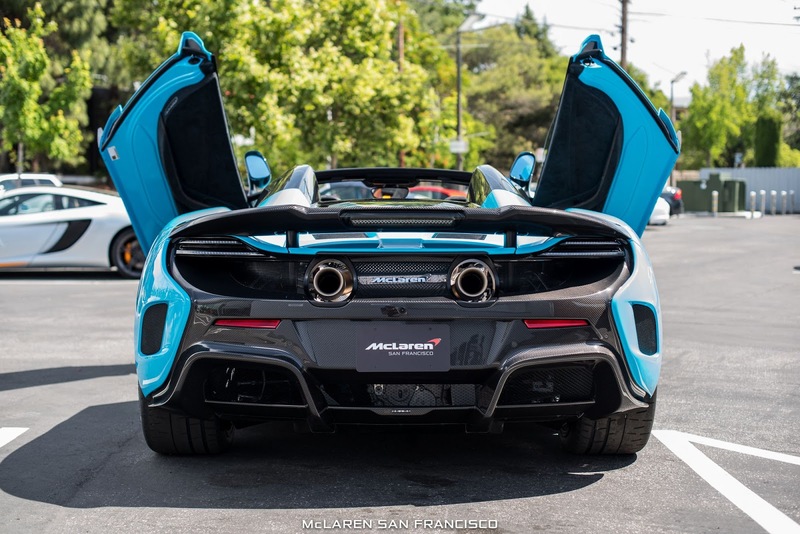 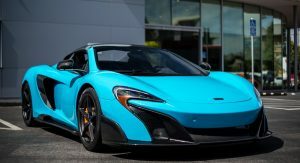 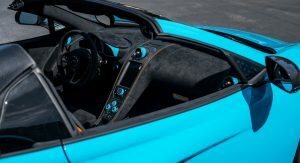 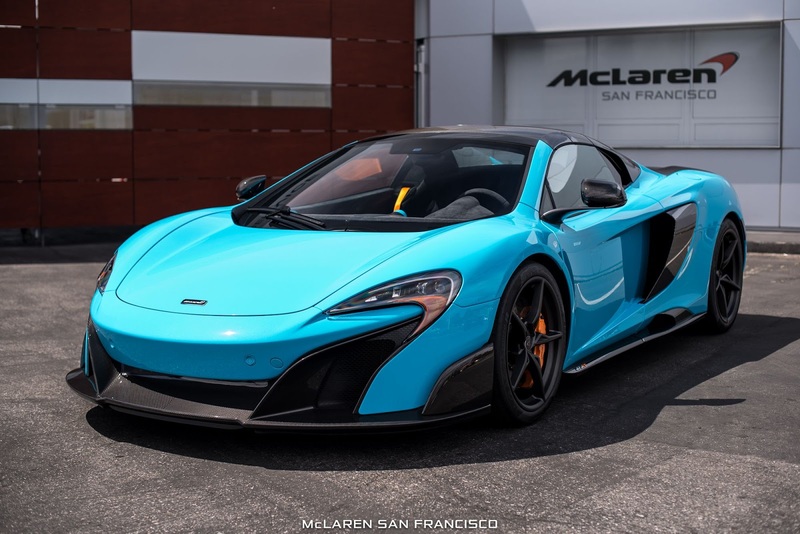 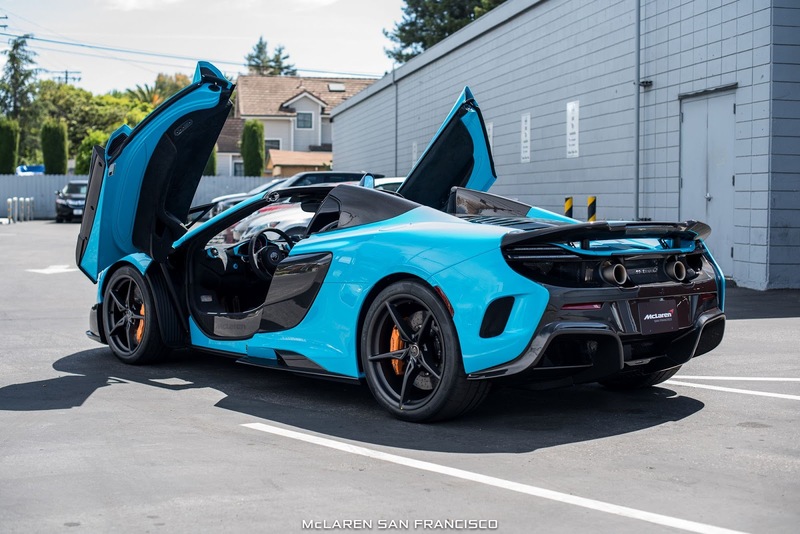 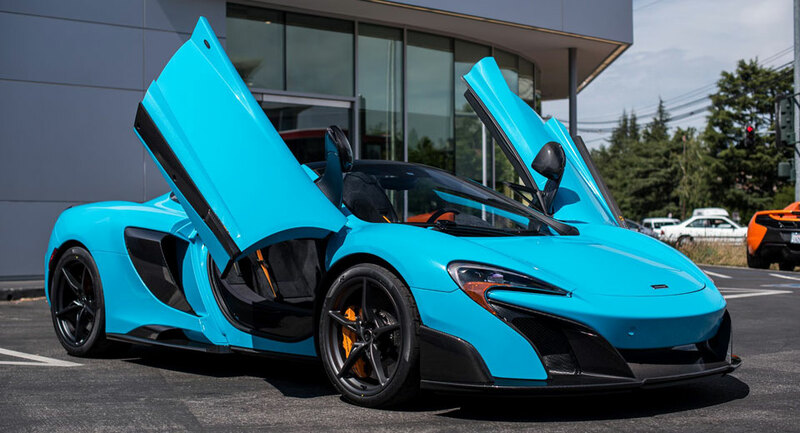 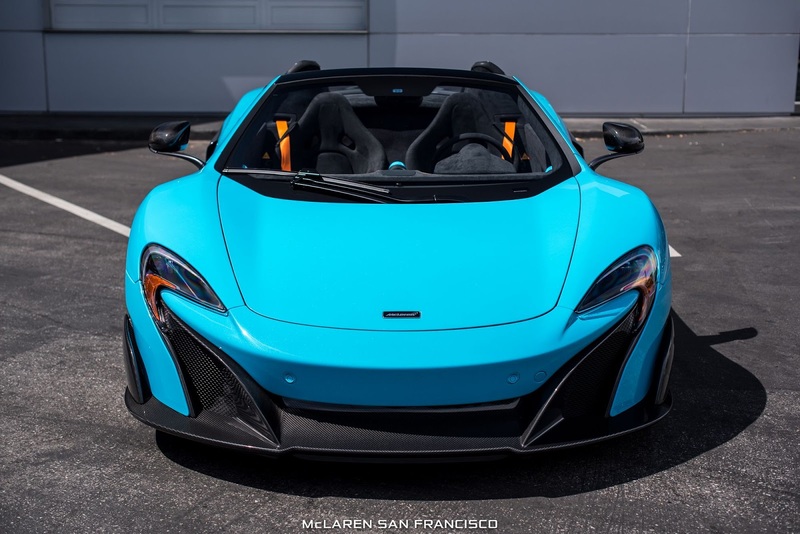 Unlike any other blue we’ve seen adorning a McLaren, the color screams for attention under direct sunlight and suits the aggressive and in-your-face character of the LT to an absolute tee. 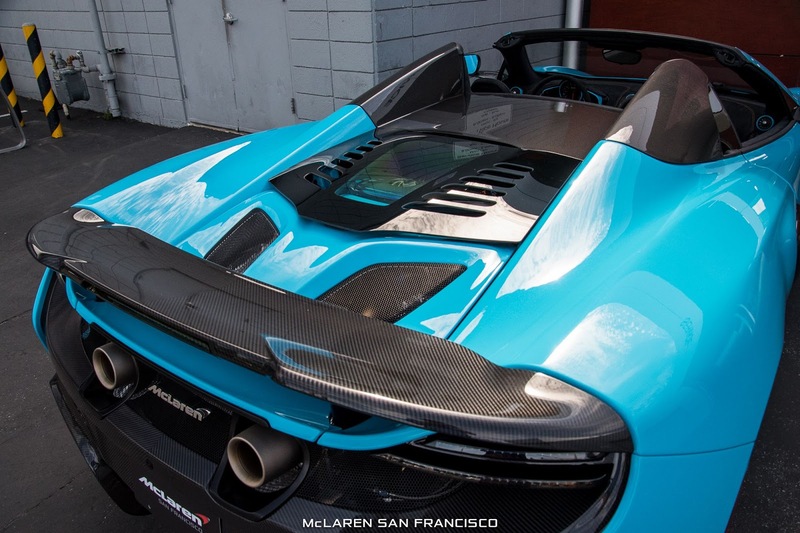 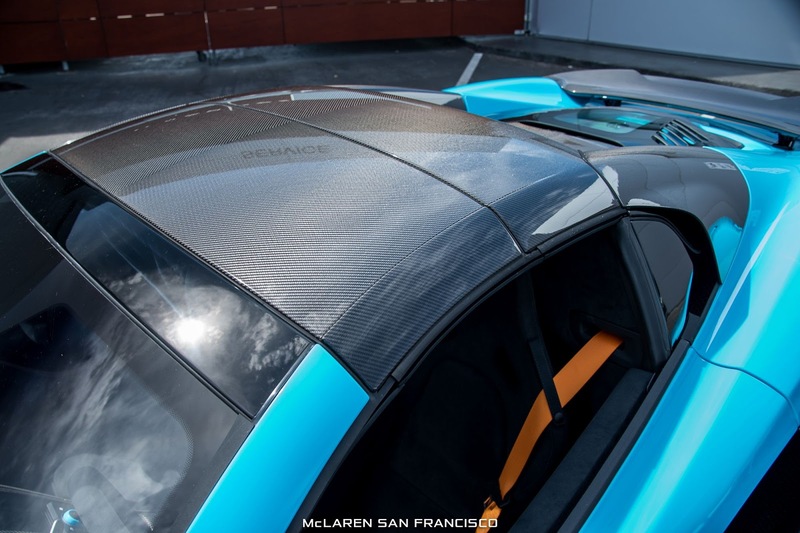 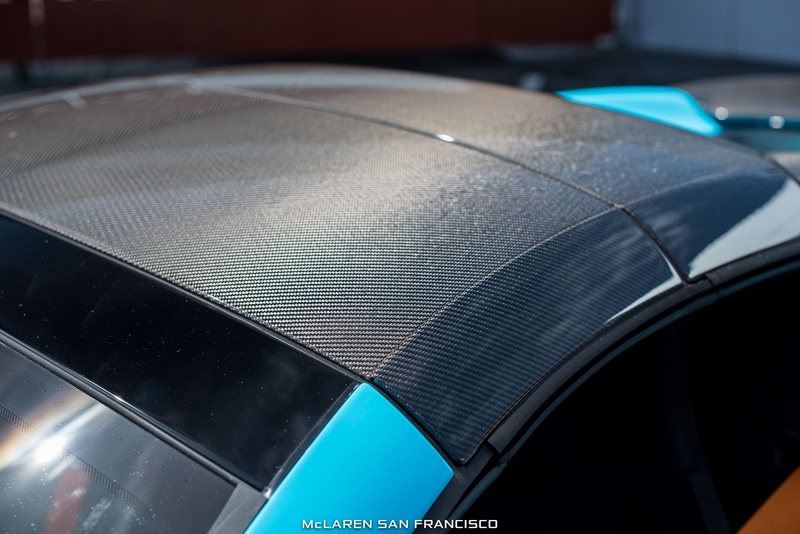 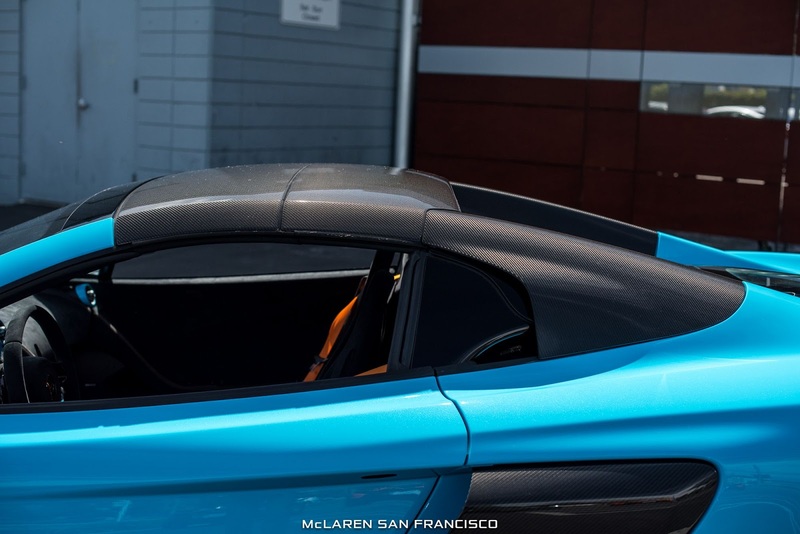 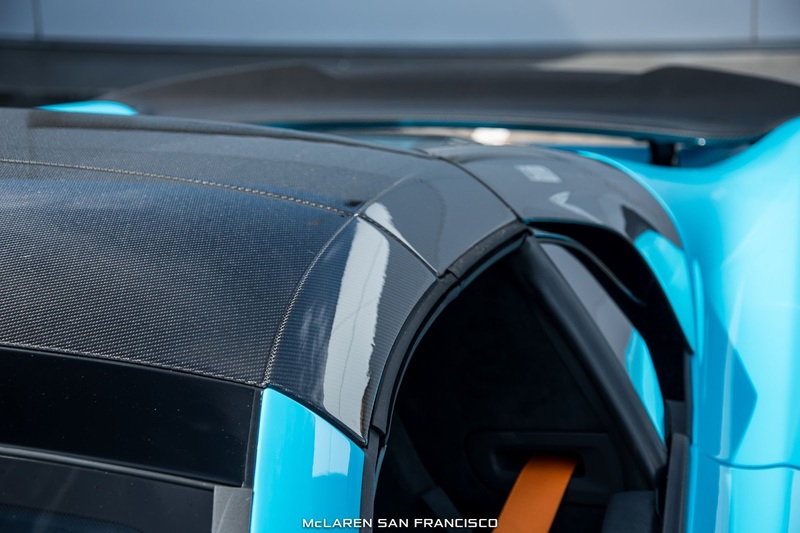 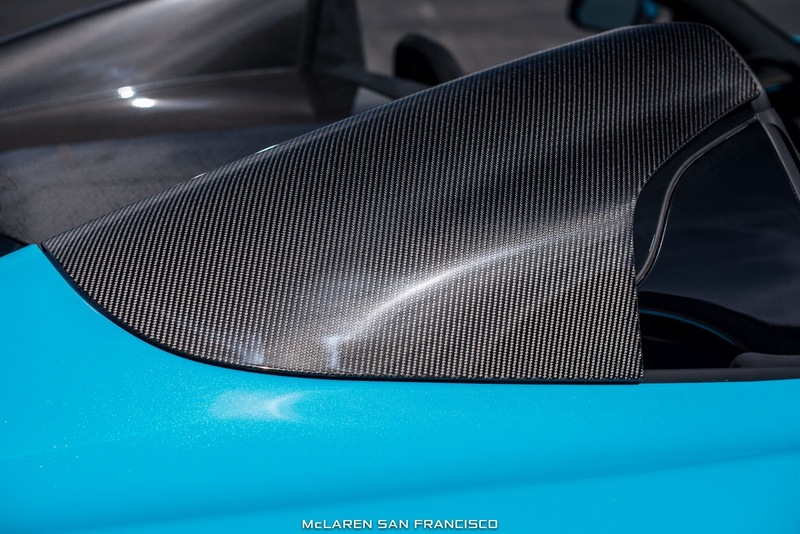 Alongside the blue paint, the owner has optioned out every piece of gloss carbon fiber available. 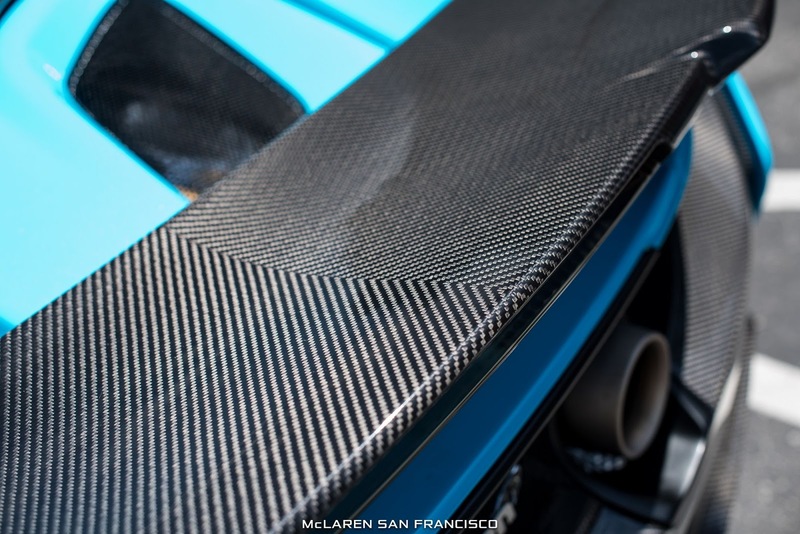 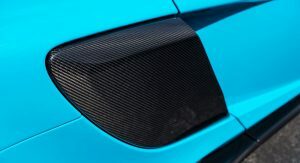 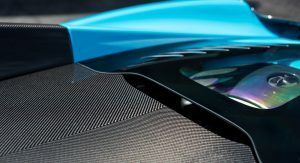 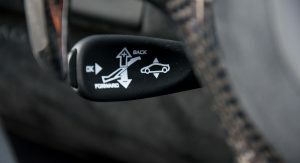 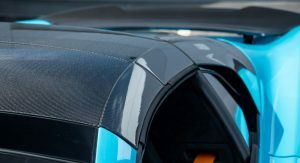 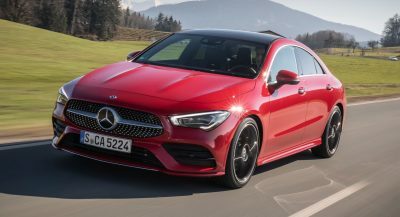 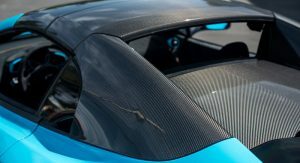 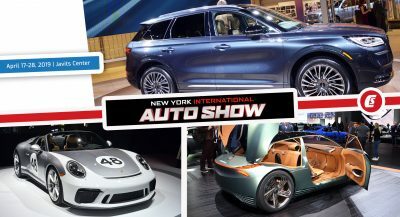 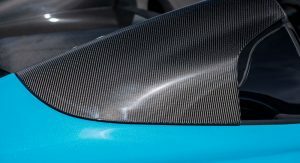 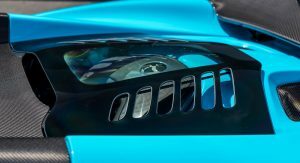 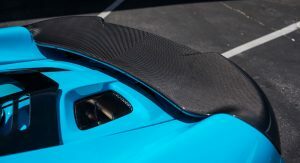 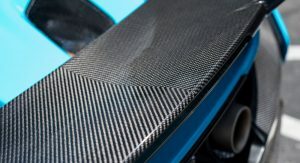 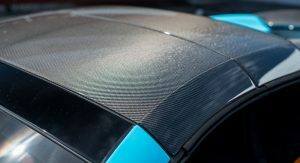 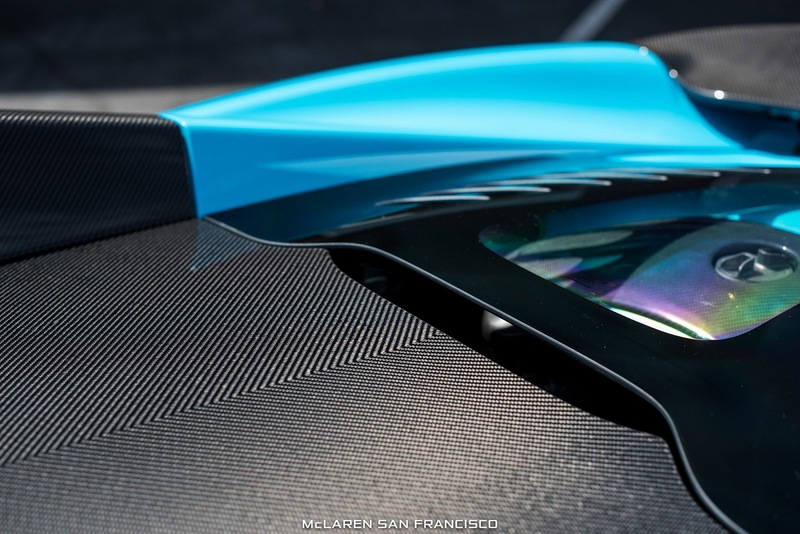 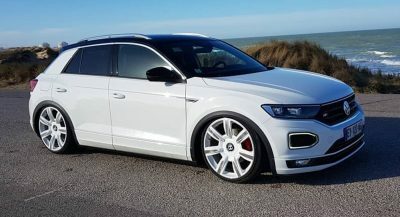 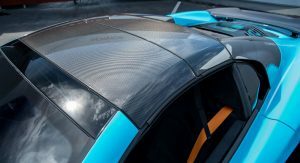 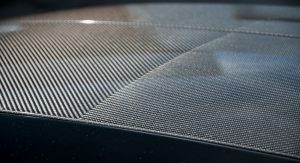 That means the front splitter and fins are made from the exotic, lightweight material as are the side skirts, side air intakes, rear diffuser, wing mirrors and the entire rear wing. 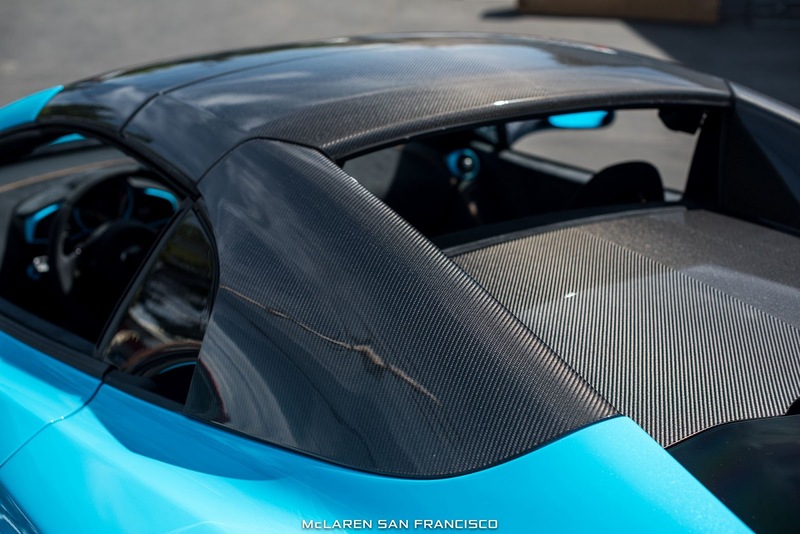 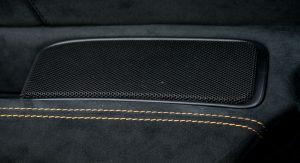 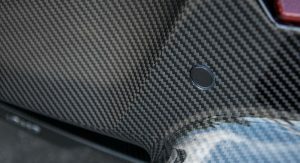 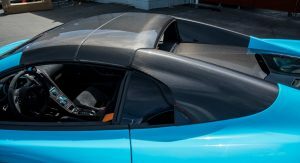 What’s more, even the rear buttresses and hardtop are finished in carbon fiber ensuring this LT looks unlike any other. 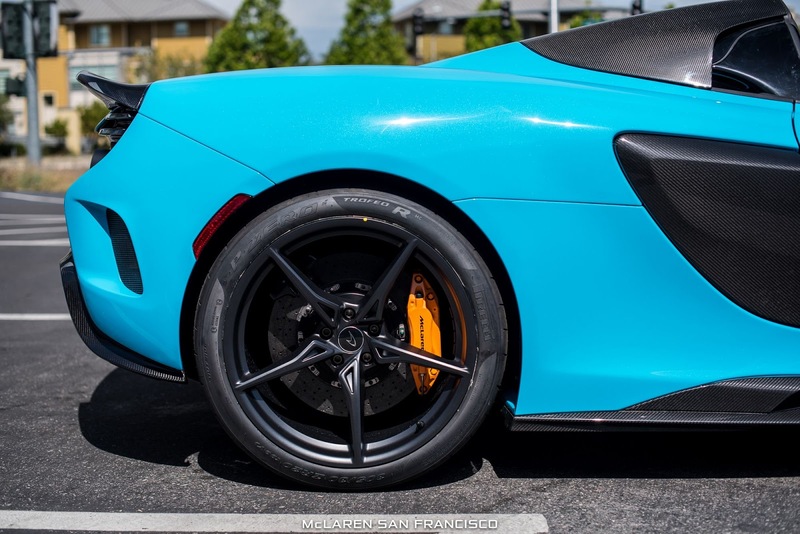 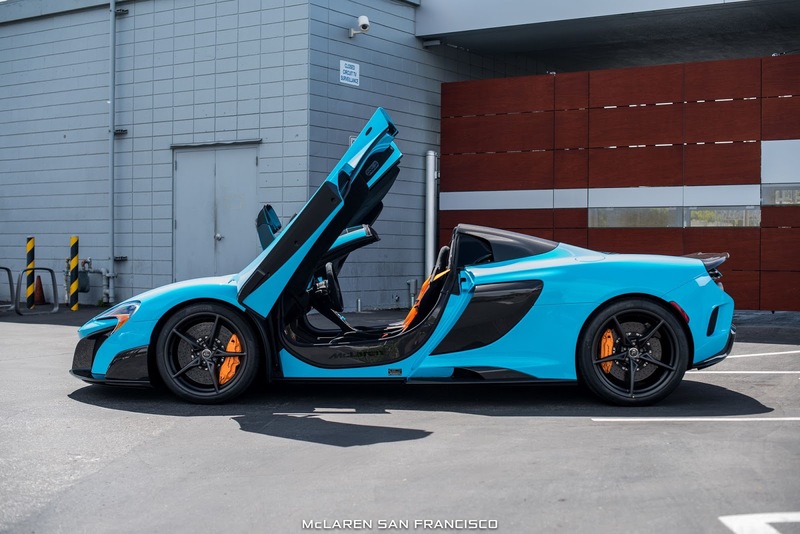 Contrasting the blue and carbon exterior finish are a set of five-spoke black wheels and light orange brake calipers. 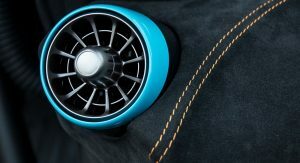 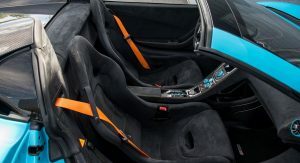 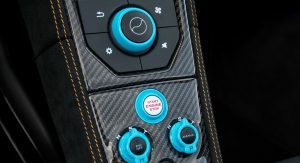 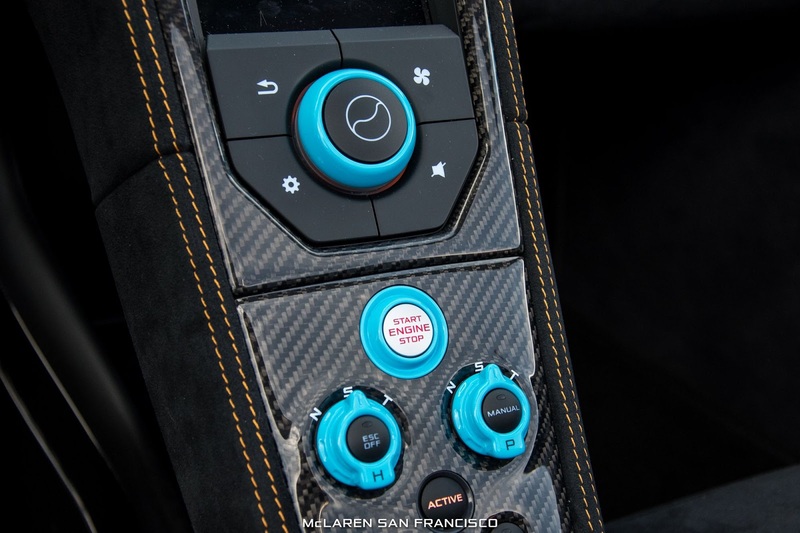 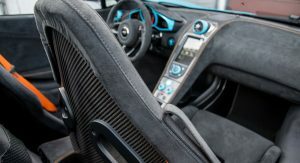 Inside, the carbon, Fistral Blue and orange theme continues with orange stitching and seat belts as well as blue across the switchgear, gauge cluster and air vents. 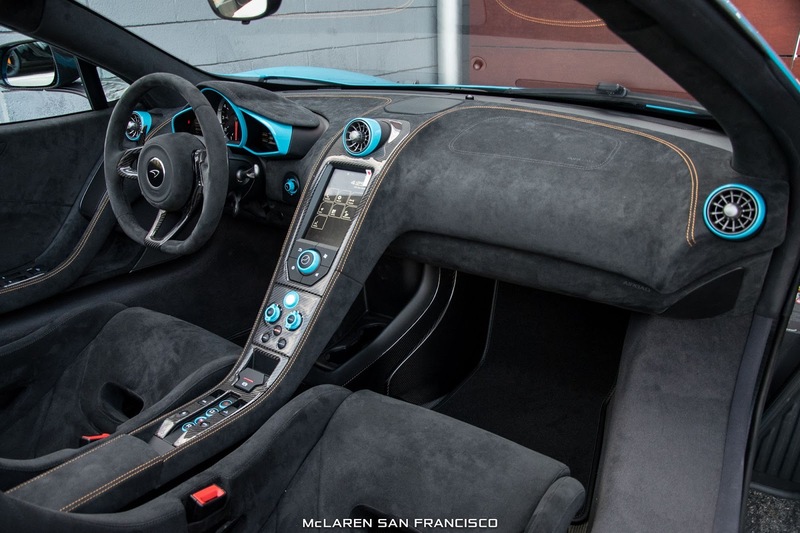 As we’re sure you’ll agree, the finished product is absolutely breathtaking. 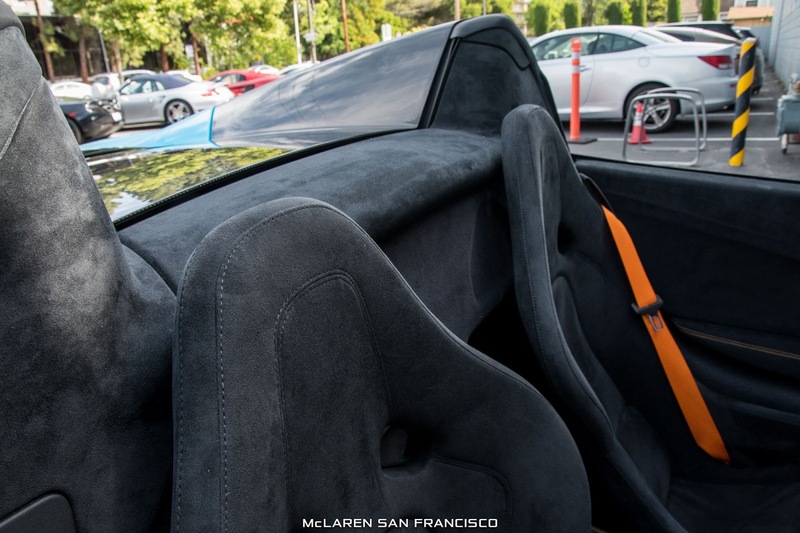 Need the 688 in this color. 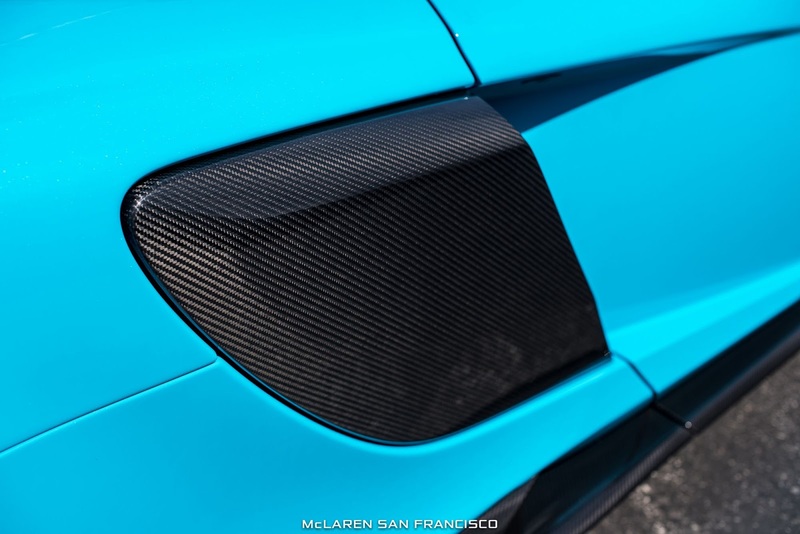 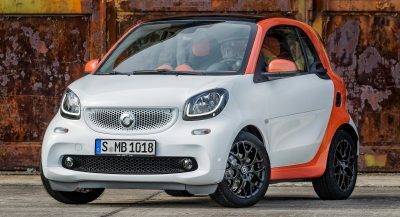 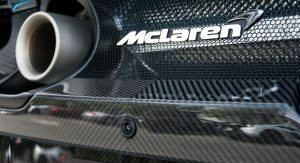 I don’t like the choice of carbon bits and I’m sure I would be bored with this colour after one week. 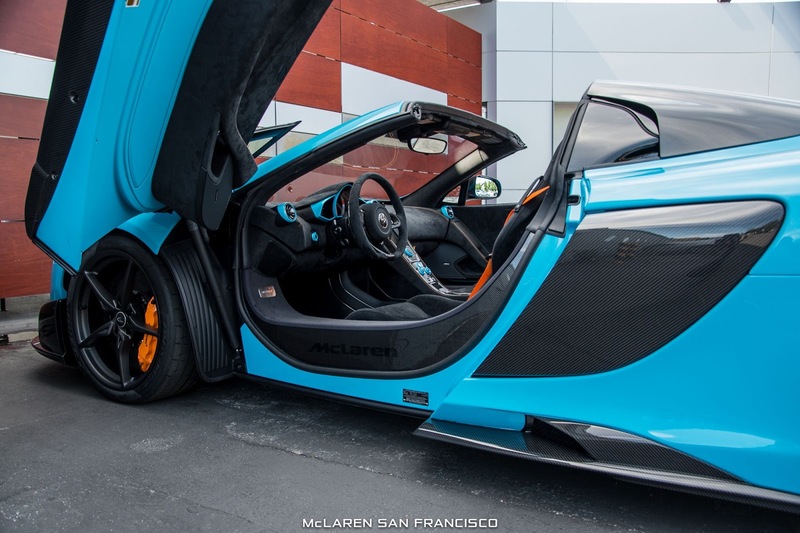 So…no. 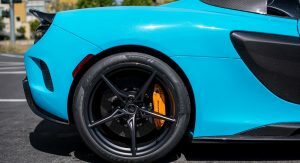 Give me one of those burnt lava red or orange metallic.